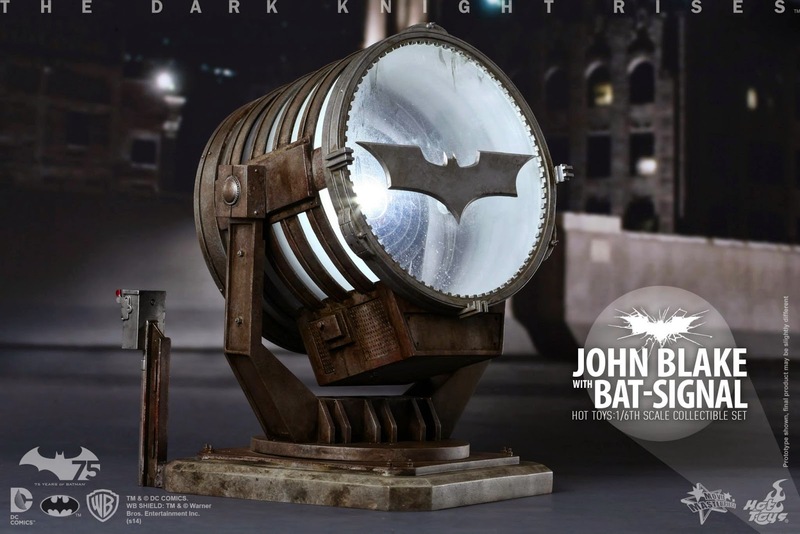 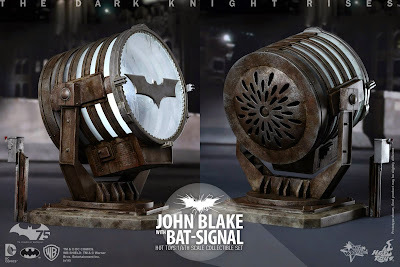 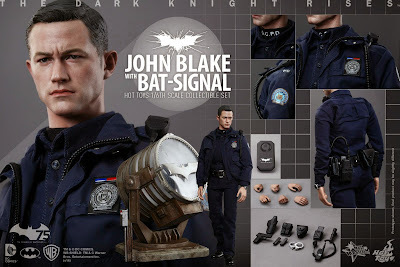 Fans have been anticipating for the official introduction of the 1/6th scale John Blake Collectible Figure and the Bat-Signal when they were displayed in exhibitions earlier this year, and today Hot Toys is delighted to present the firstly launched John Blake collectible figure together in a set with the iconic Bat-Signal as seen in The Dark Knight Rises. 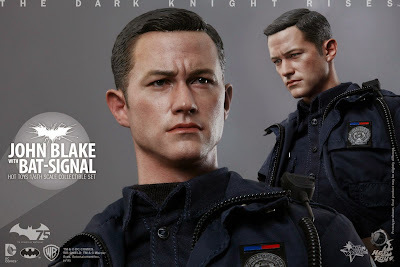 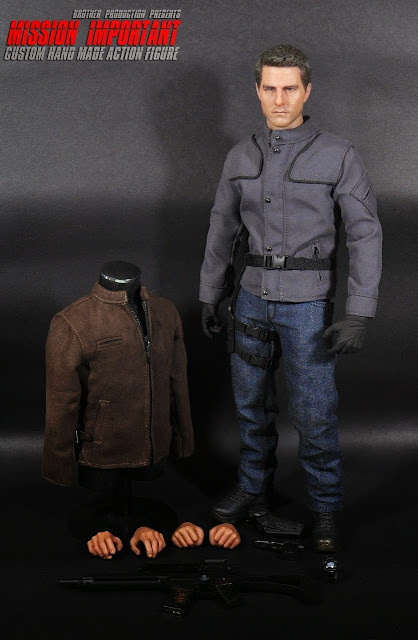 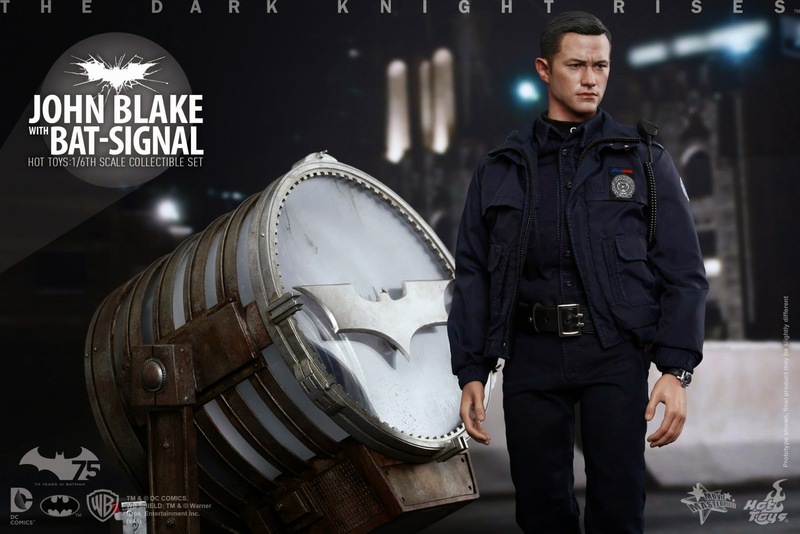 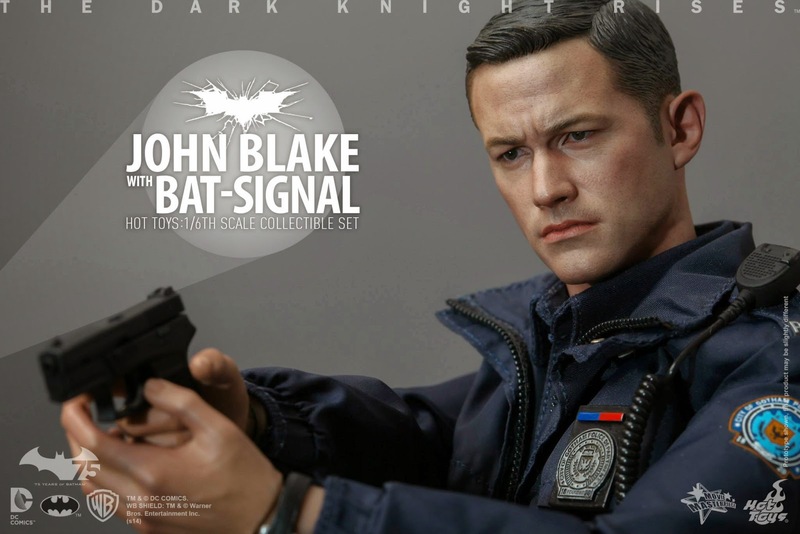 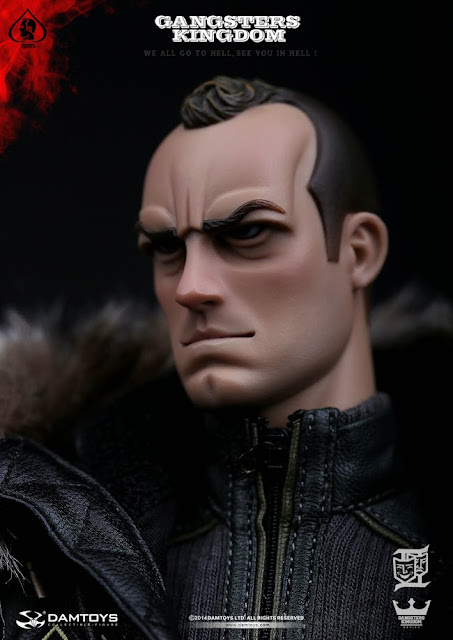 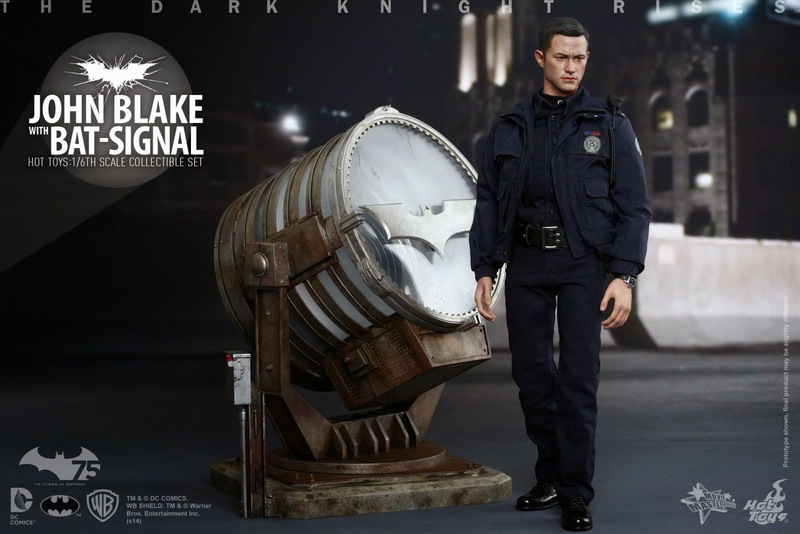 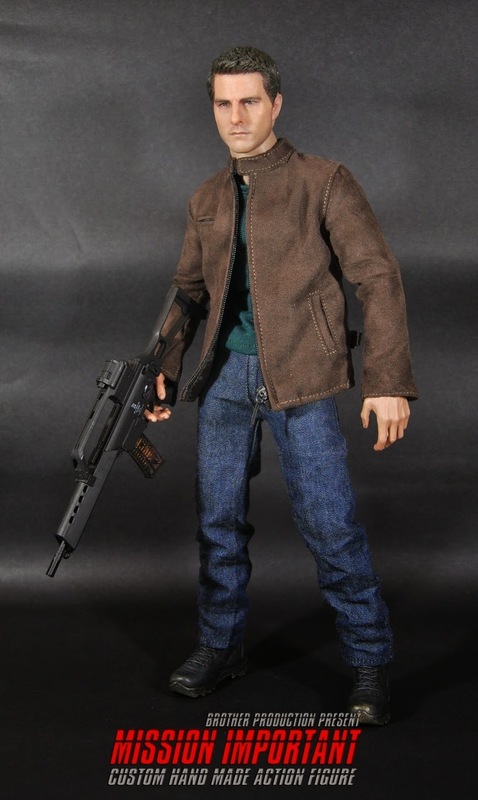 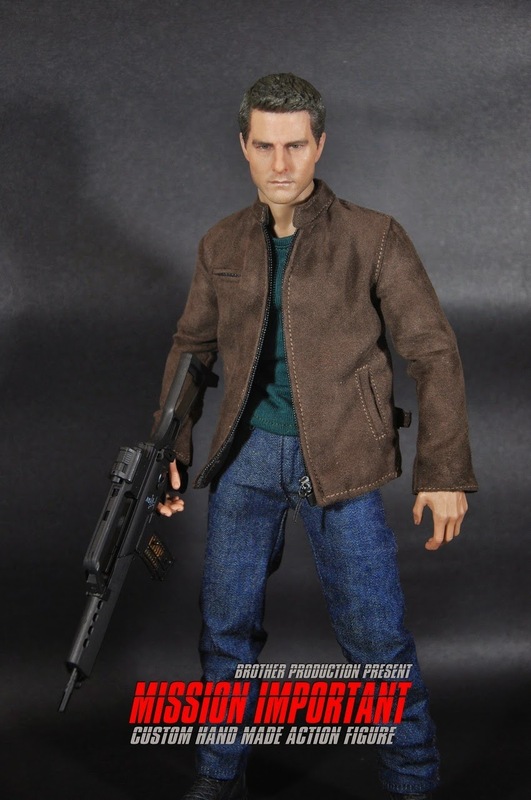 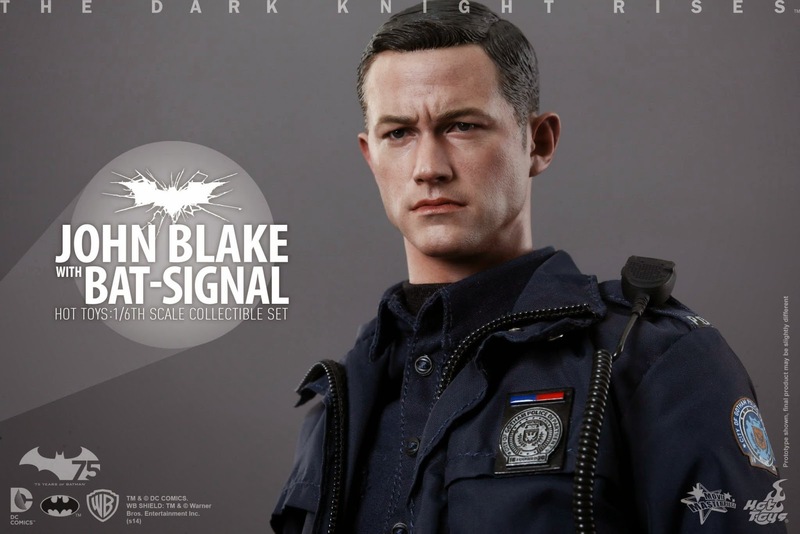 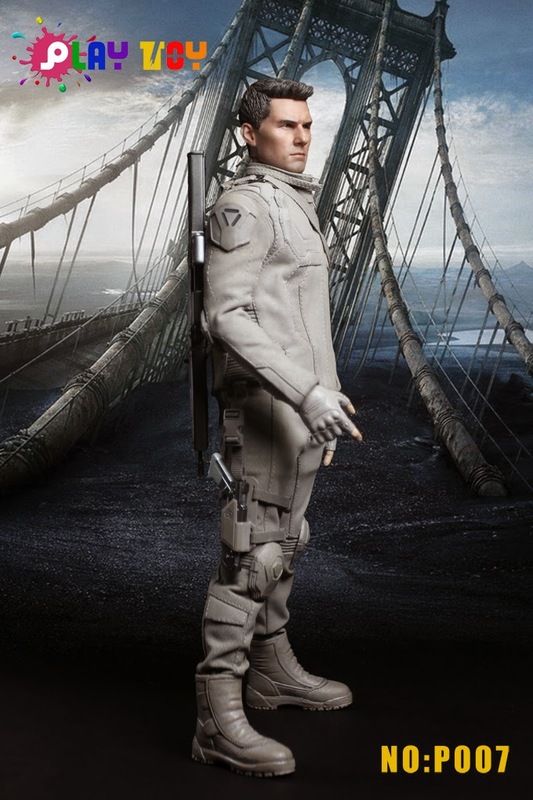 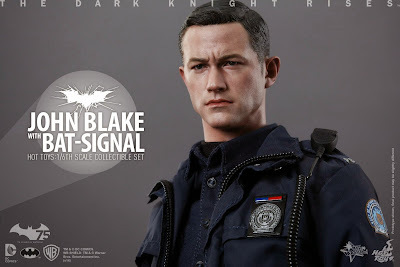 The movie-accurate John Blake collectible is specially crafted based on the image of the Joseph Gordon-Levittas John Blake in the film featuring a newly developed head sculpt, specially tailored Gotham City police uniform, detailed weapons and accessories. 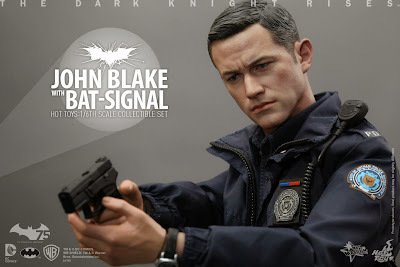 Hot Toys Movie Masterpiece Series MMS274 The Dark Knight Rises: 1/6th scale John Blake with Bat-Signal Collectible Set special features: Authentic and detailed likeness of Joseph Gordon-Levitt as John Blake in The Dark Knight Rises with Movie-accurate facial features with detailed wrinkles and skin texture. 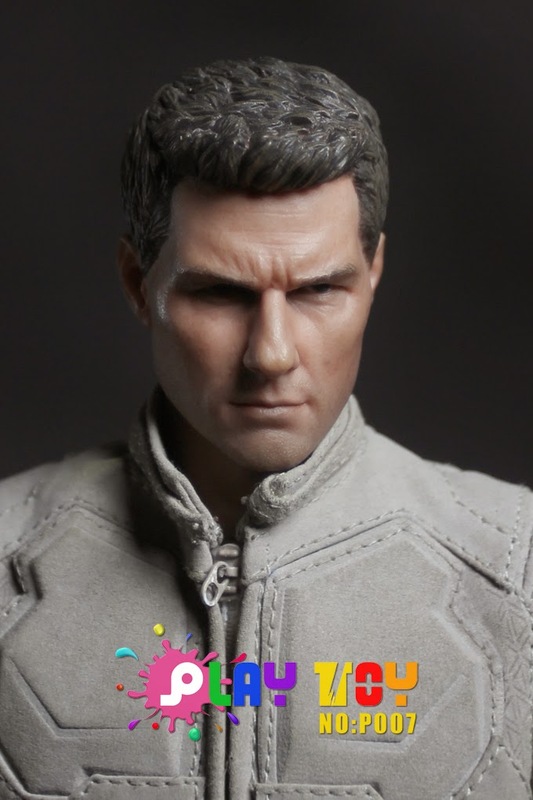 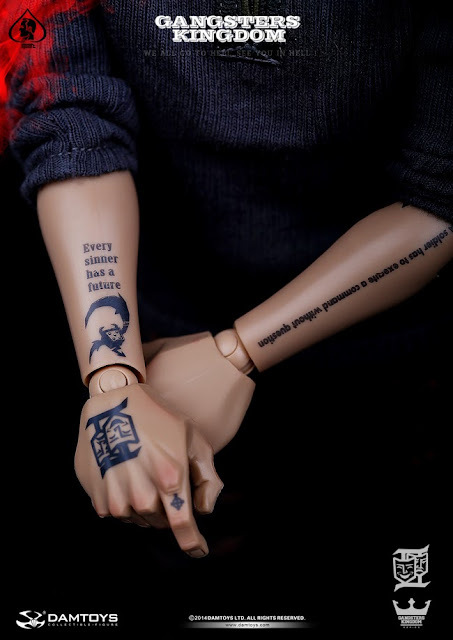 Each piece of head sculpt is specially hand-painted. 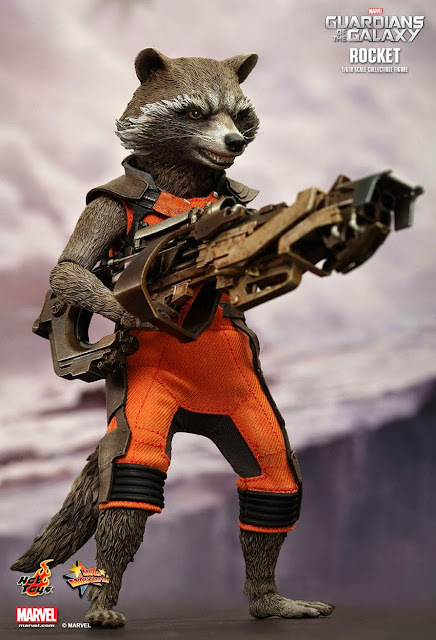 Approximately 30 cm tall Body with over 30 points of articulations, Seven (7) pieces of interchangeable palms including: One (1) pair of fists, One (1) pair of relaxed palms, One (1) triggering gun right palm, One (1) gun supporting left palm, One (1) left palm for holding flashlight. 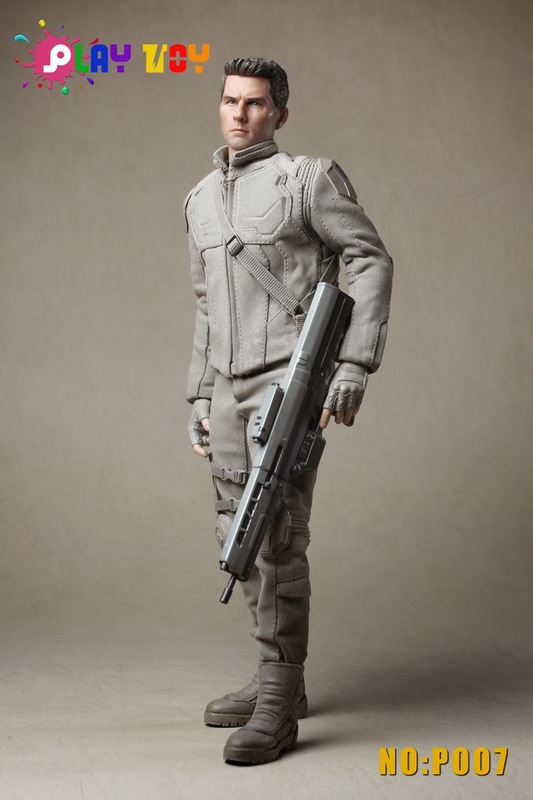 Incoming: Play Toy P007 1/6 scale Maintenance Technician. Isn’t it Obvious or are you oblivious? 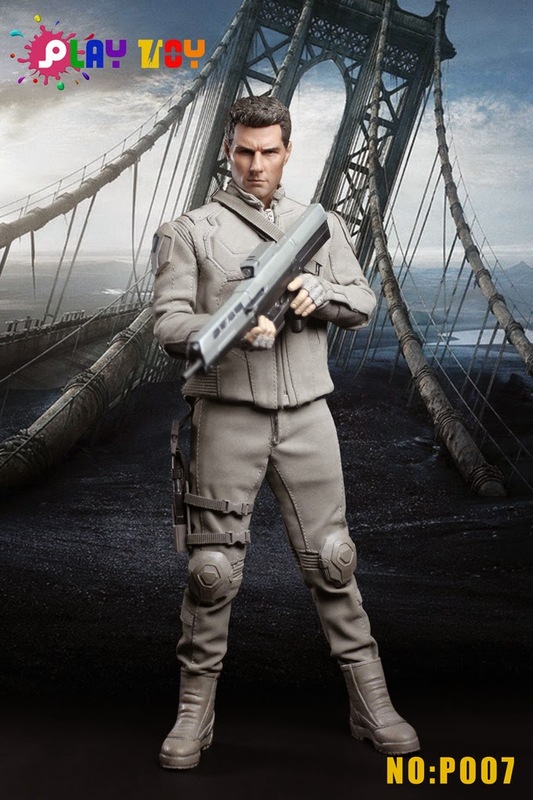 Oblivion is a 2013 post-apocalyptic science fiction film based on Joseph Kosinski’s unpublished graphic novel of the same name. 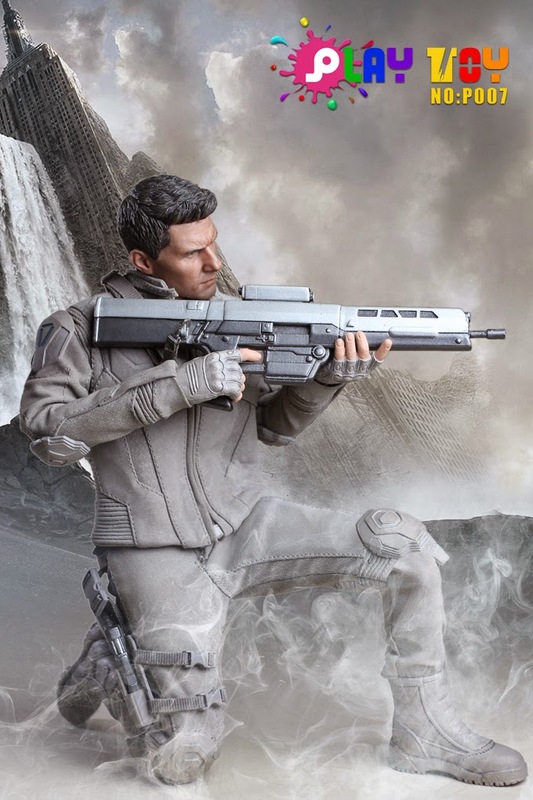 The film was co-written, produced and directed by Kosinski. 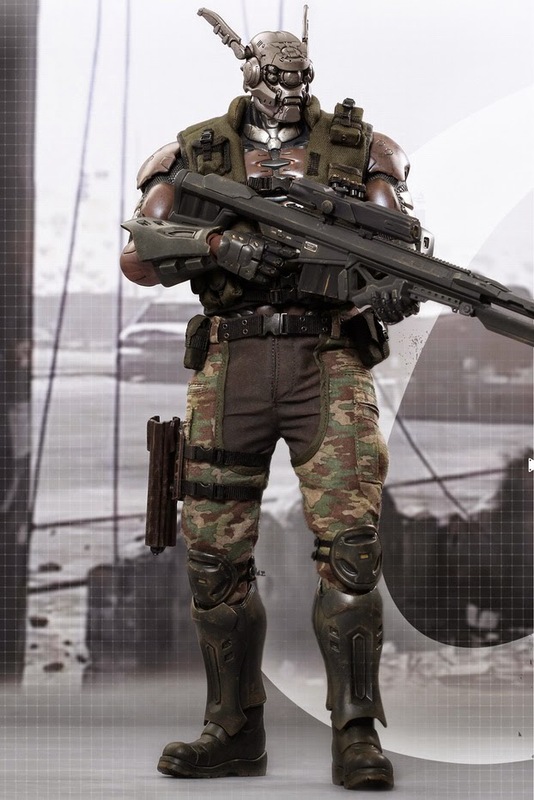 The film is set in the year 2077, sixty years after Earth has been devastated from the effects of an alien invasion. Most of humanity has left Earth for a massive tetrahedral space station (called Tet). 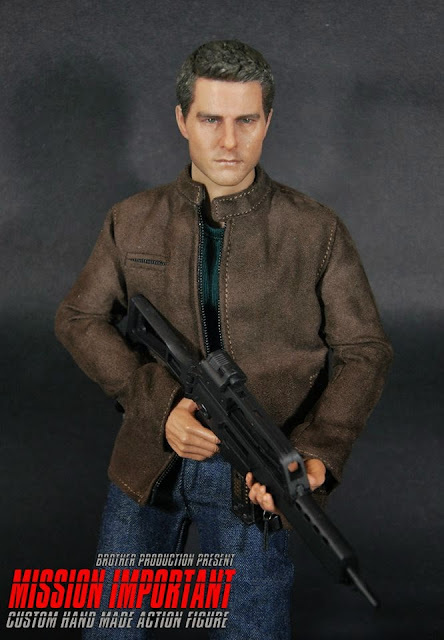 Tom Cruise stars as Commander Jack Harper, one of the few remaining humans on Earth assigned to protect and maintain drones that extract Earth’s resources to fuel the Tet. 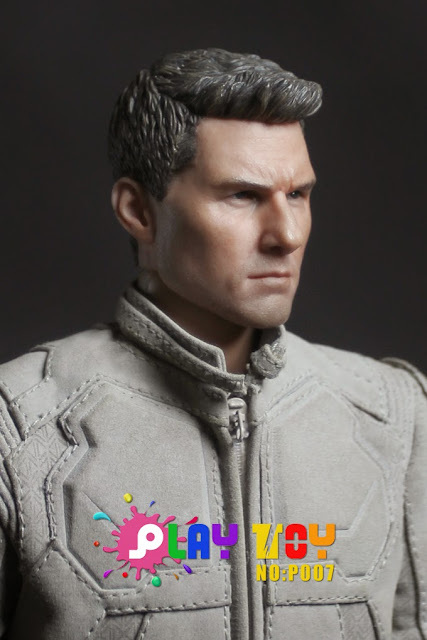 With only a couple of weeks away from joining the rest of humanity, Jack discovers a crashed spacecraft that forces him to question everything he believes. 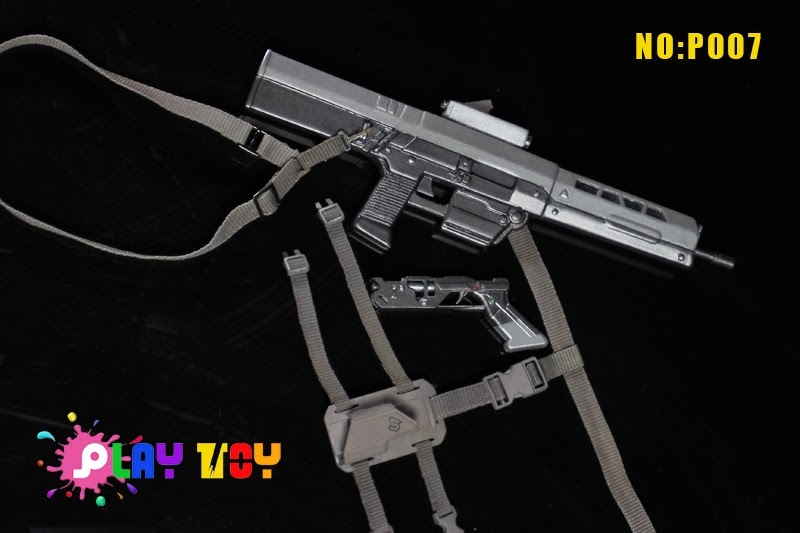 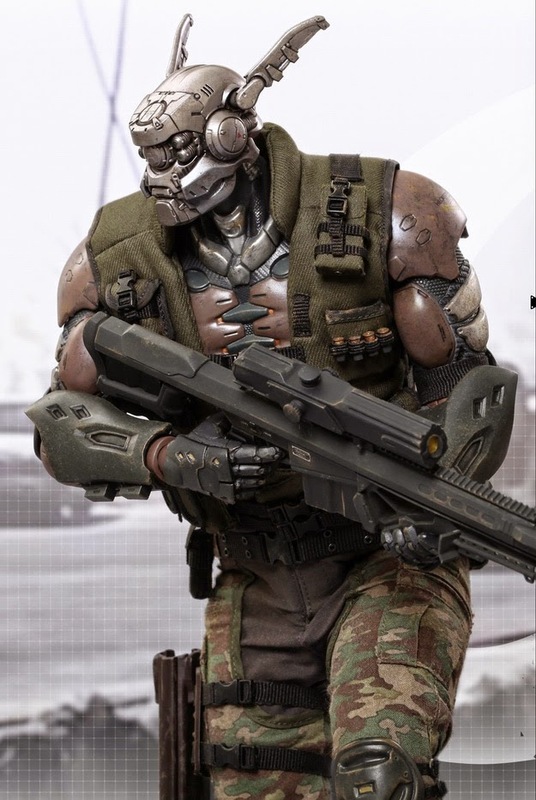 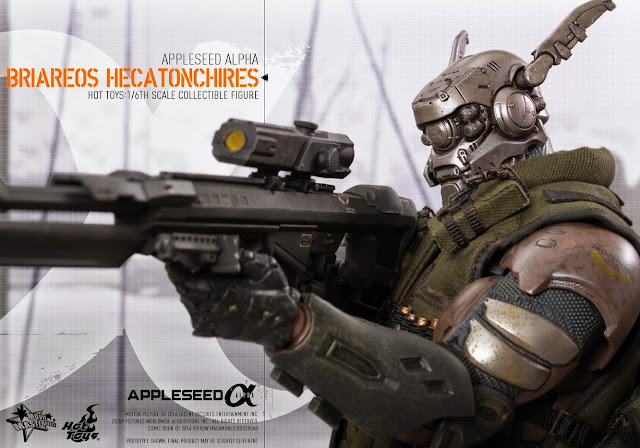 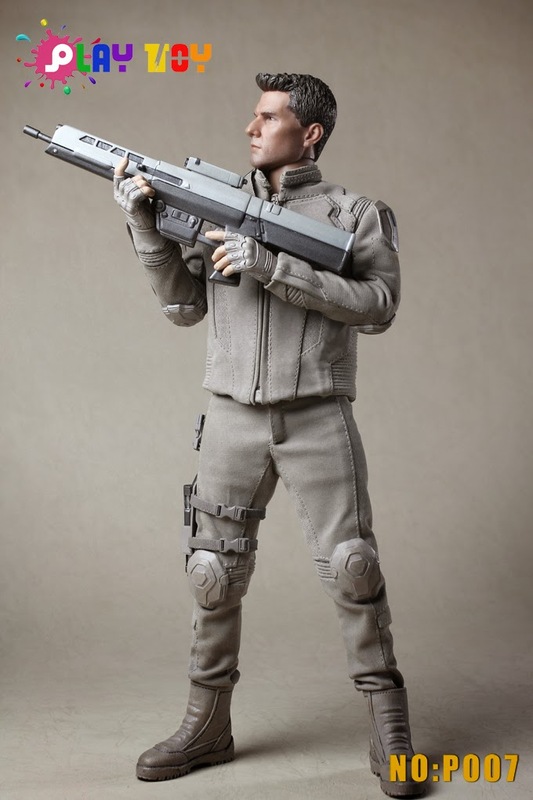 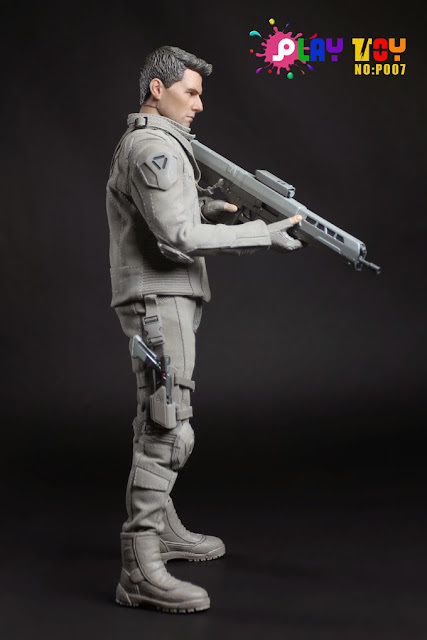 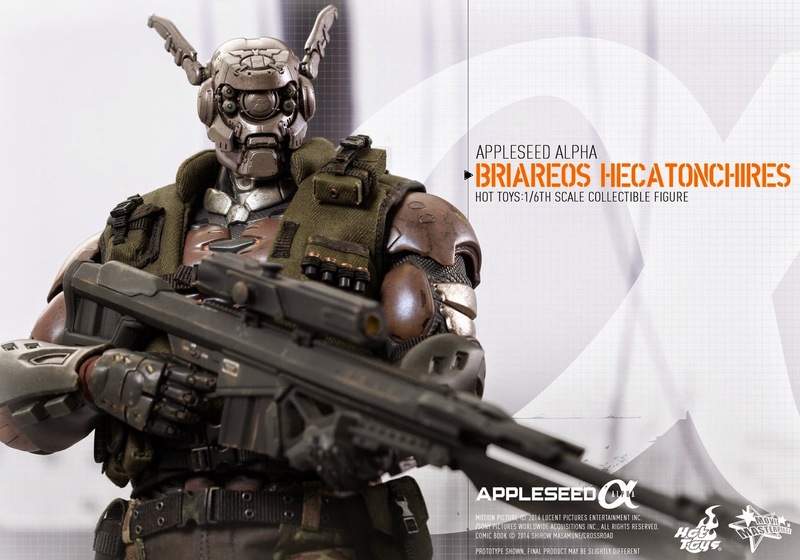 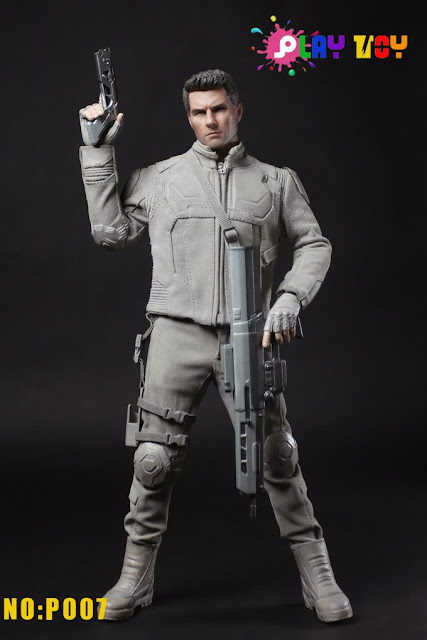 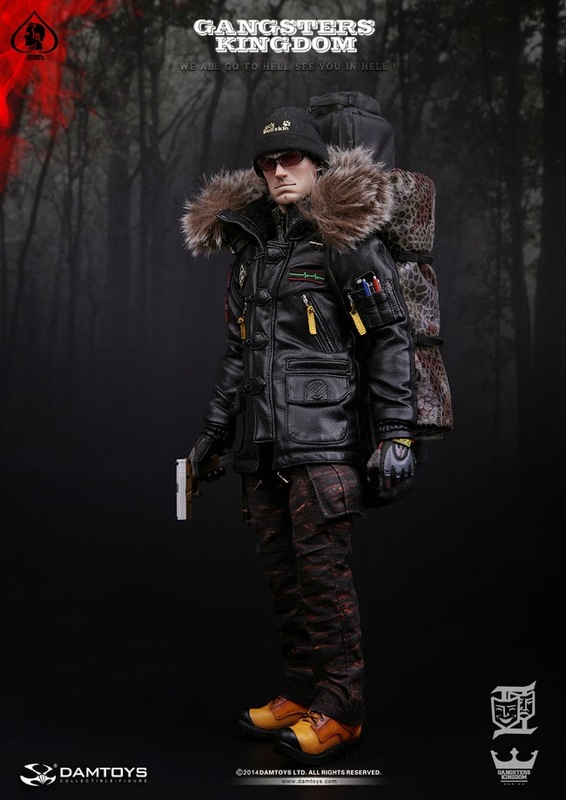 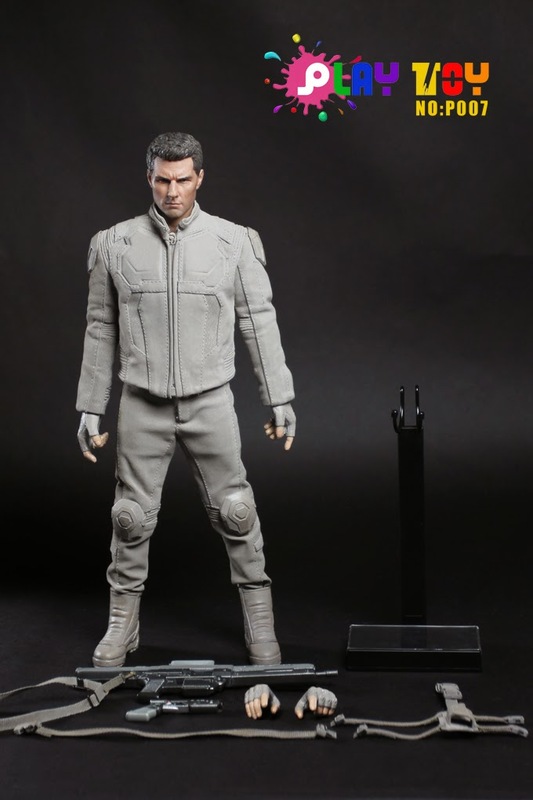 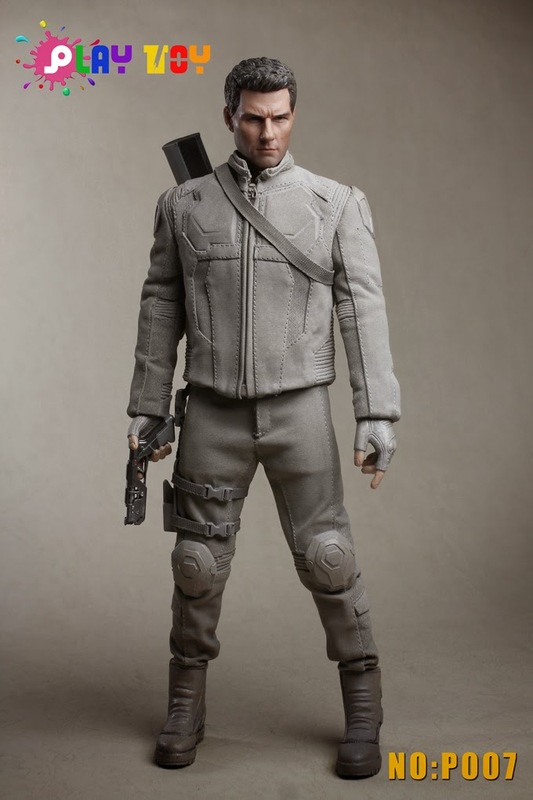 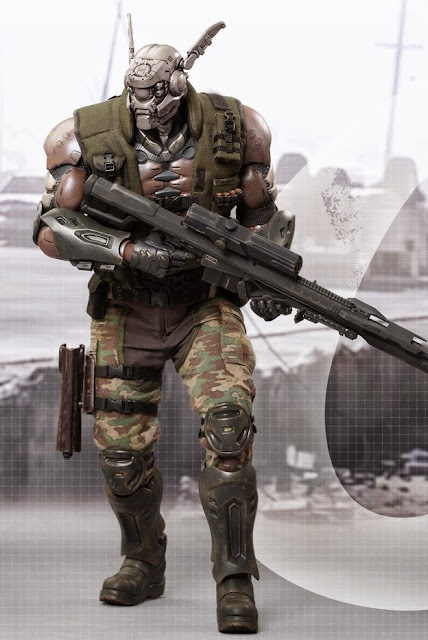 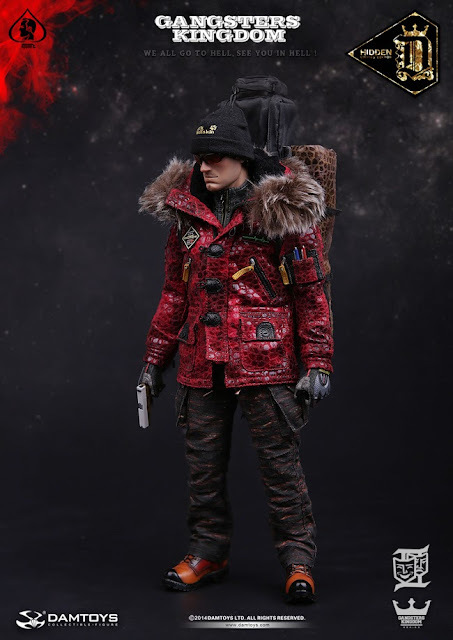 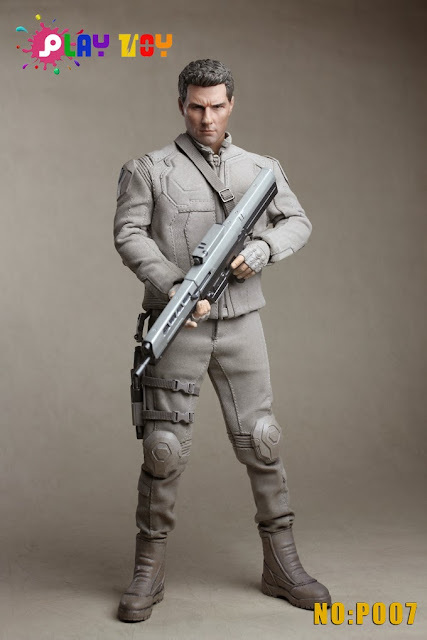 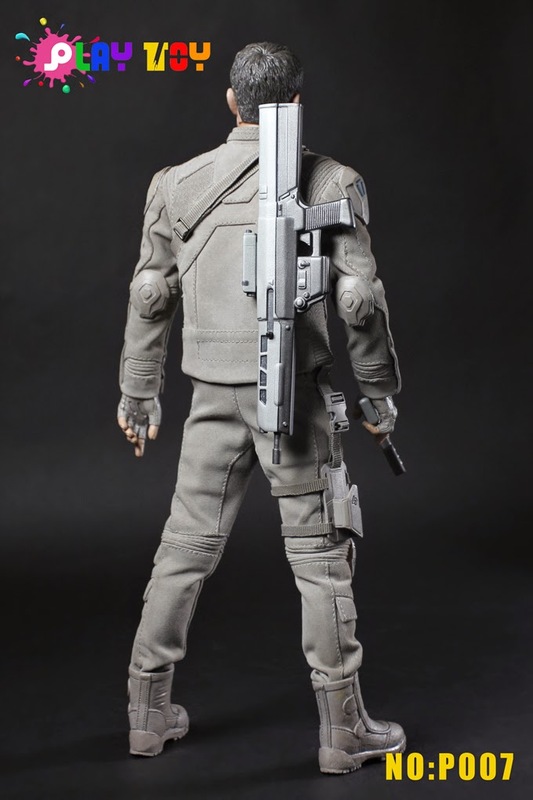 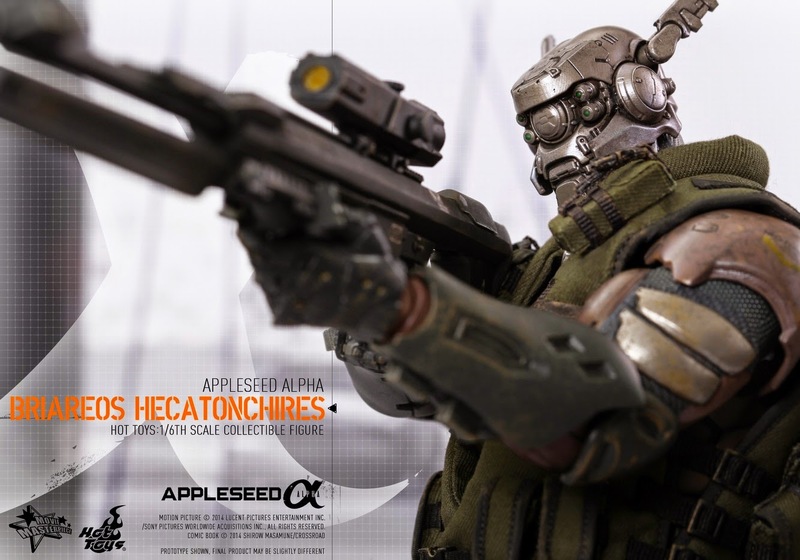 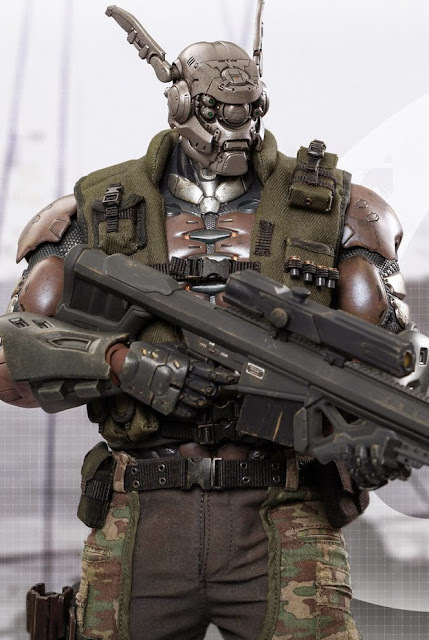 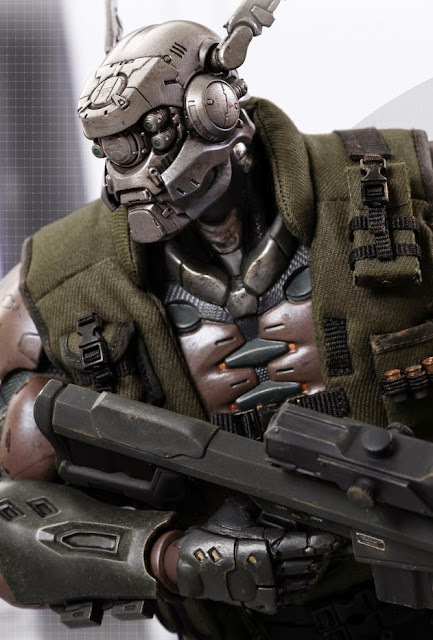 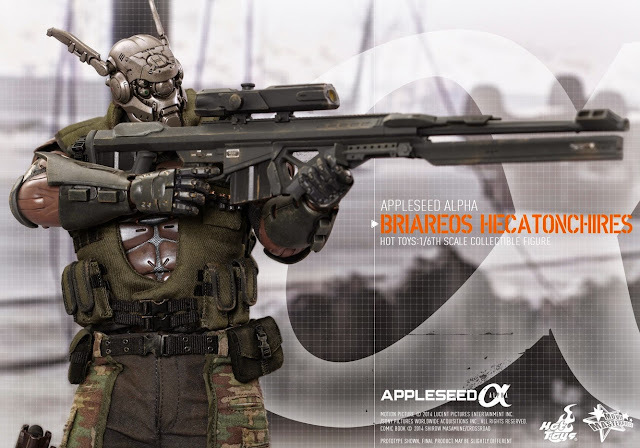 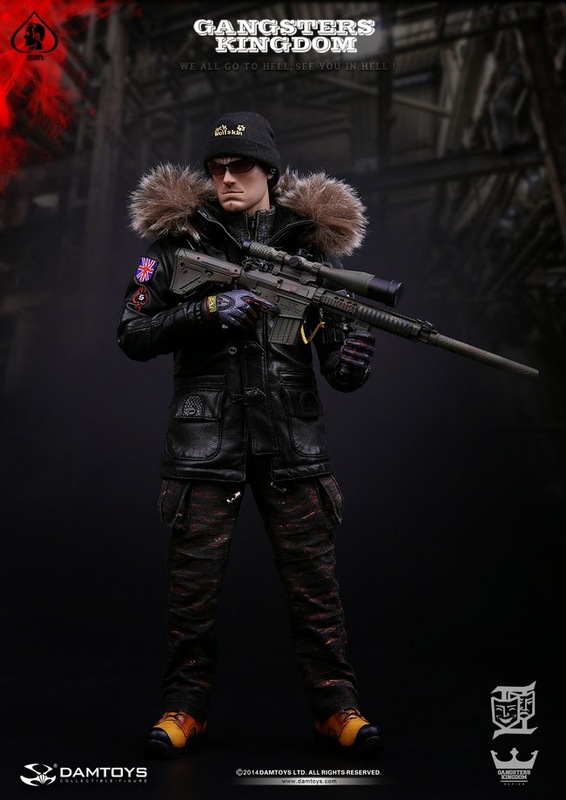 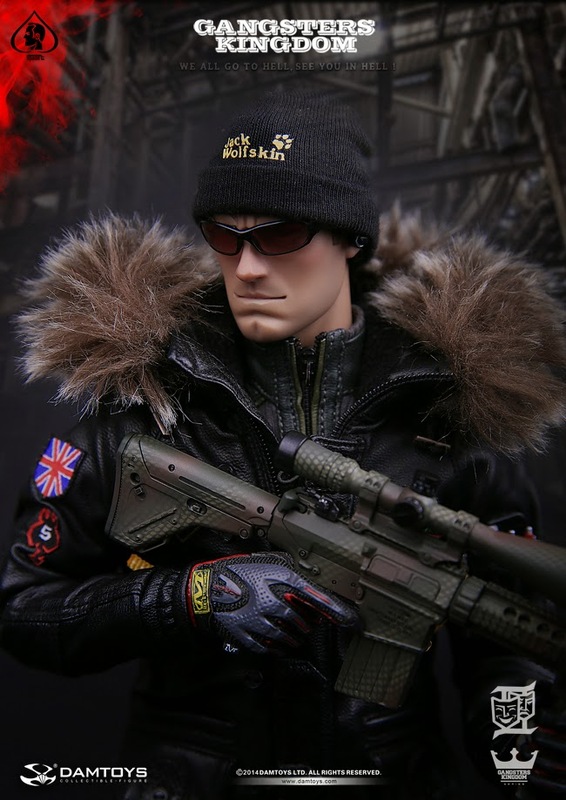 Play Toy P007 1/6th scale Maintenance Technician 12-inch figure will come with Realistic head sculpt, 12-inch male figure body, Jacket, Pants, Boots, Belt, futuristic rifle with Sling, Pistol, Holster, Hands x 4, figure display stand. Posted in Action Figures & Statues	| Tagged Incoming, isn't, MAINTENANCE, oblivious, Obvious, P007, Play, Scale, Technician. Éowyn is a fictional character in J. R. R. Tolkien’s legendarium, who appears in his most famous work, The Lord of the Rings. 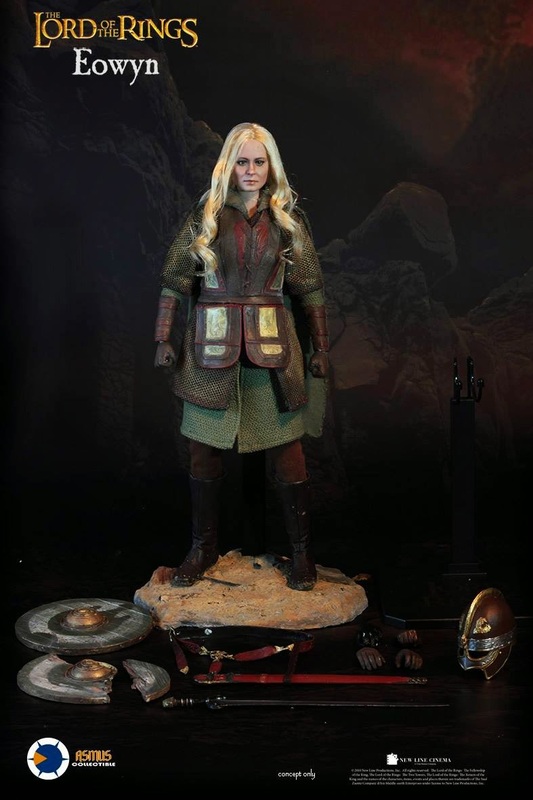 She is a noblewoman of Rohan who is described as a shieldmaiden. 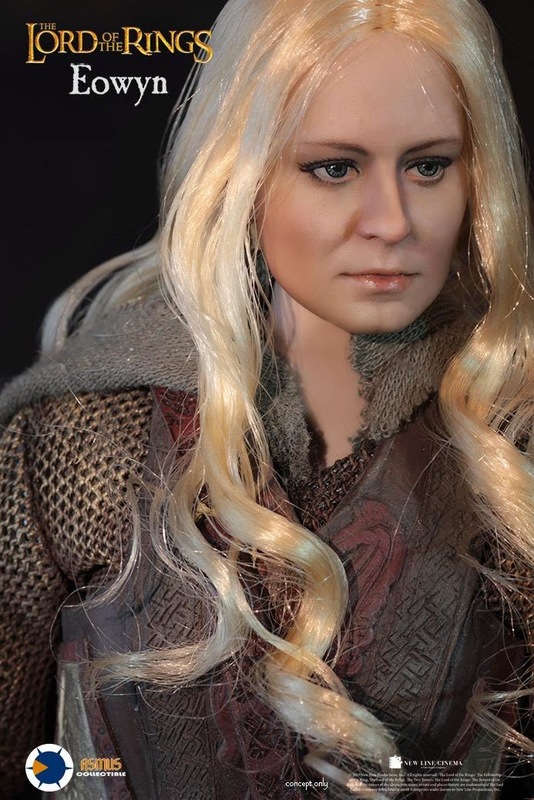 Éowyn is described to be very beautiful; she was tall, slim, pale, and graceful, with long golden hair and grey eyes. 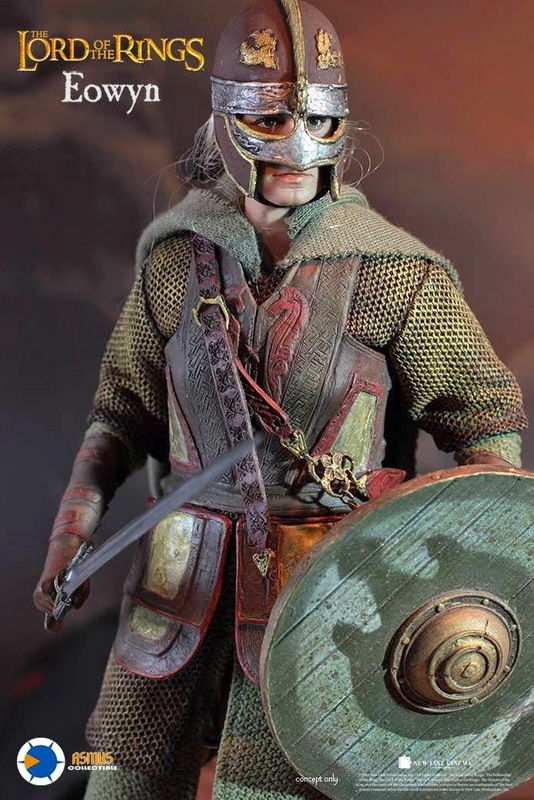 In temperament she was idealistic, spirited, brave and high-minded, but very lonely, having sacrificed her own happiness for years to care for her sick uncle and meet the responsibilities of a shield-maiden. 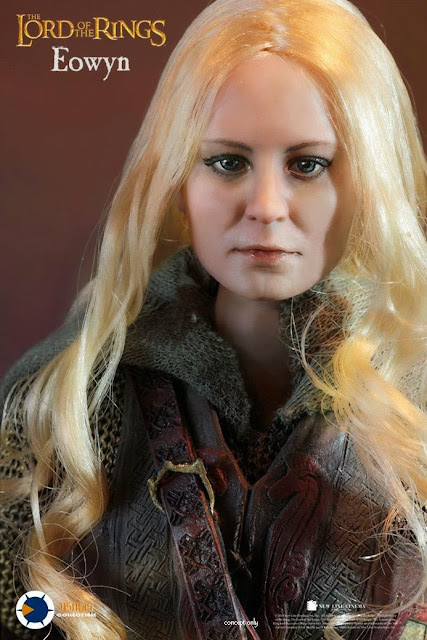 In Peter Jackson’s films The Lord of the Rings: The Two Towers (2002) and The Lord of the Rings: The Return of the King (2003), Éowyn is played by Miranda Otto. This is the character on which Amsus Toys has based their Lord of the Rings 1/6 scale Éowyn 12-inch figure on and if I were still collecting The Lord of the Rings figures, I would probably grab this in a heartbeat. But the increasing prices of everything has put a huge damper on the collecting hobby and the price of this figure is just not justifiable. 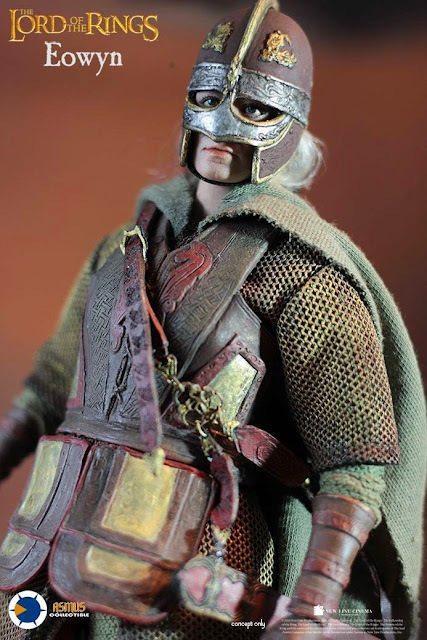 In Return of the King, Éowyn disguised herself as a man and under the alias of Dernhelm, travelled with the Riders of Rohan to the Battle of the Pelennor Fields outside the White City of Minas Tirith in Gondor, carrying with her Merry Brandybuck, who had also been ordered to remain behind, on her horse Windfola. The Witch-king attacked Éowyn with his steed, but she slew it with her sword. 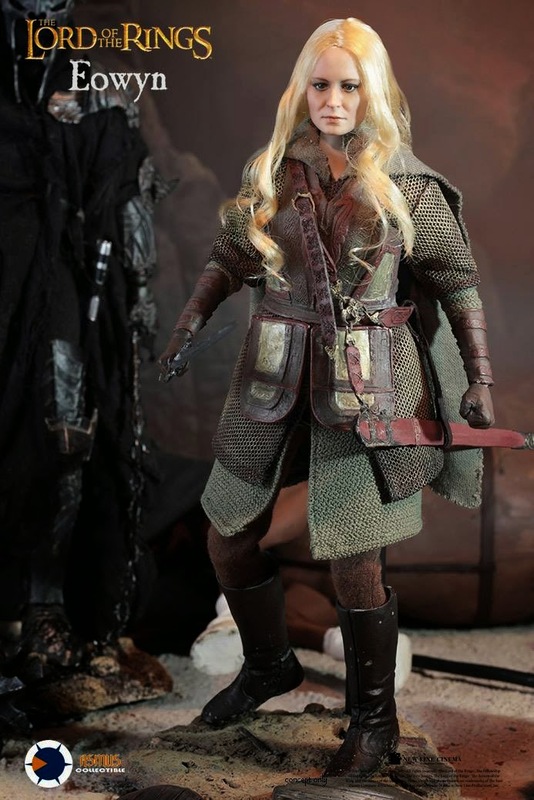 He then shattered her shield and broke her shield-arm with his mace, but was distracted by Merry, who stabbed him behind the knee with a sword enchanted with spells against him. 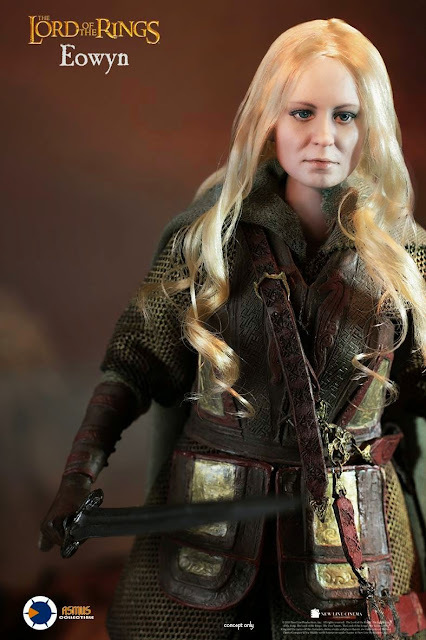 Éowyn seized the opportunity to strike the Witch-king with a killing thrust “between crown and mantle”. 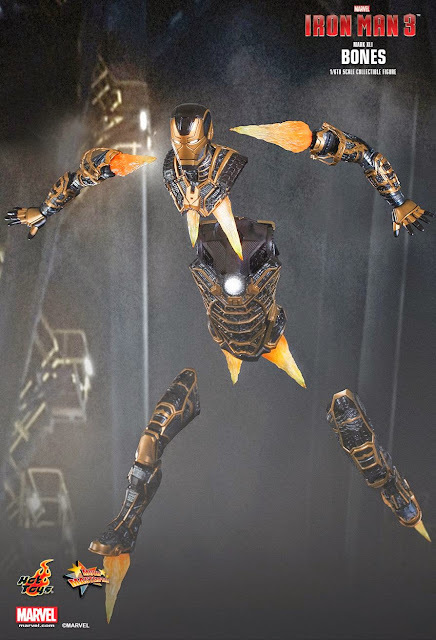 Then as her sword shattered, his withering form collapsed and he vanished with a final cry of anguish. After the demise of Sauron, Éowyn and Faramir married and settled in Ithilien, of which Faramir was made the ruling Prince by King Elessar (the name with which Aragorn ascended the throne of the Reunited Kingdom). 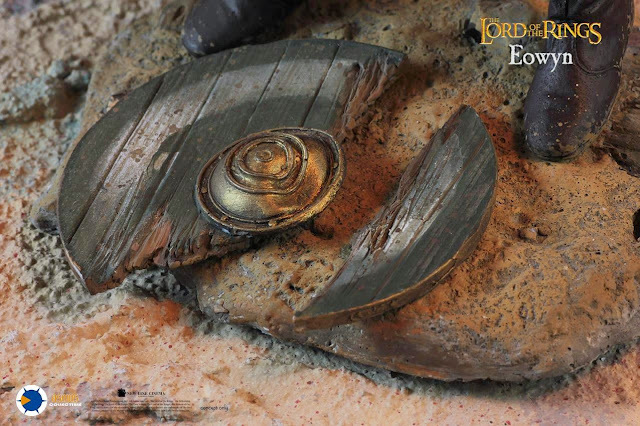 Faramir and Éowyn had at least one son (Elboron), and their grandson was Barahir, who wrote The Tale of Aragorn and Arwen in the Fourth Age. Check out the Sideshow Collectibles “The Lord of the Rings: The Two Towers (2002)” 1/6 scale Faramir, second son of Denethor 12-inch action figure HERE. 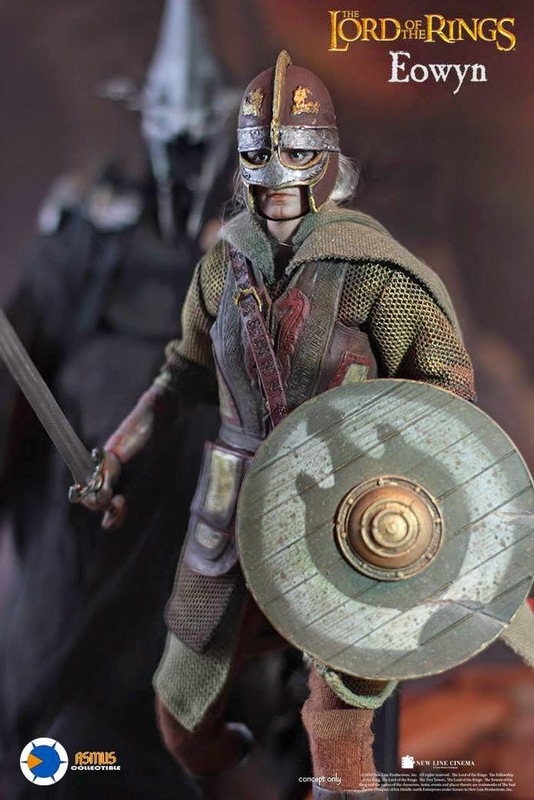 Faramir was played by David Wenham who was also Dilios the Spartan and narrator in “300 (2007)”. 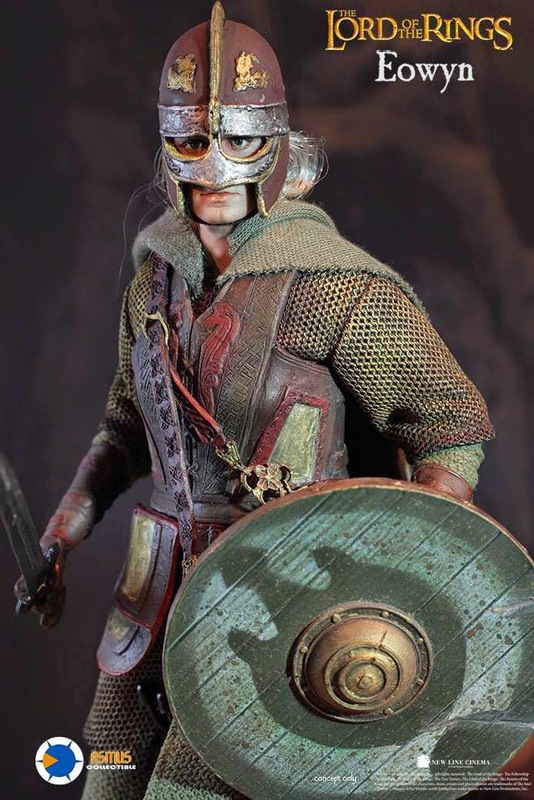 Sideshow Collectibles also released Faramir’s elder brother, Boromir from “The Lord of the Rings: The Fellowship of the Ring”. You can see my review post HERE as well. 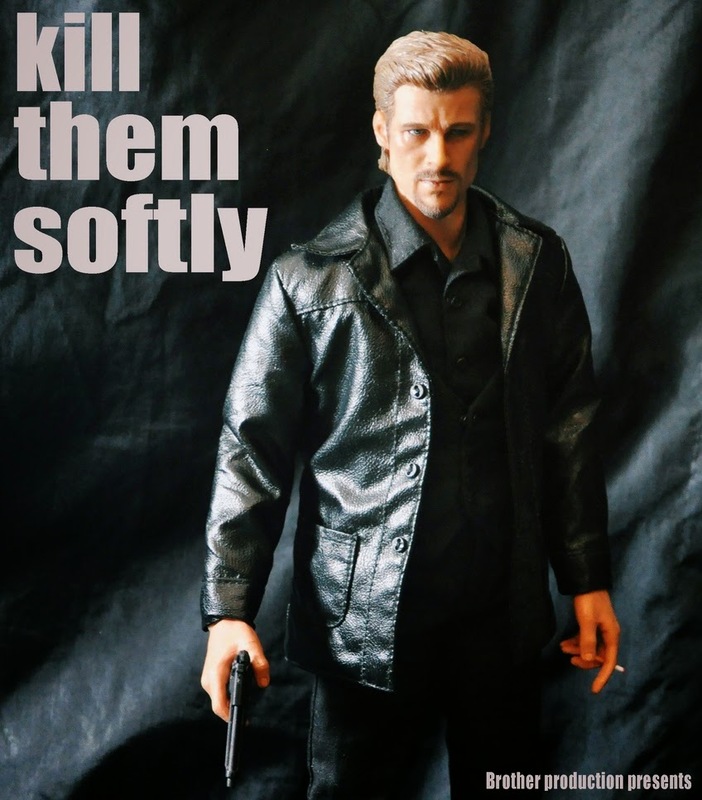 James formerly managed a warehouse in Milwaukee, Wisconsin before being arrested and convicted of the murder of his wife Annie and sentenced to death row. 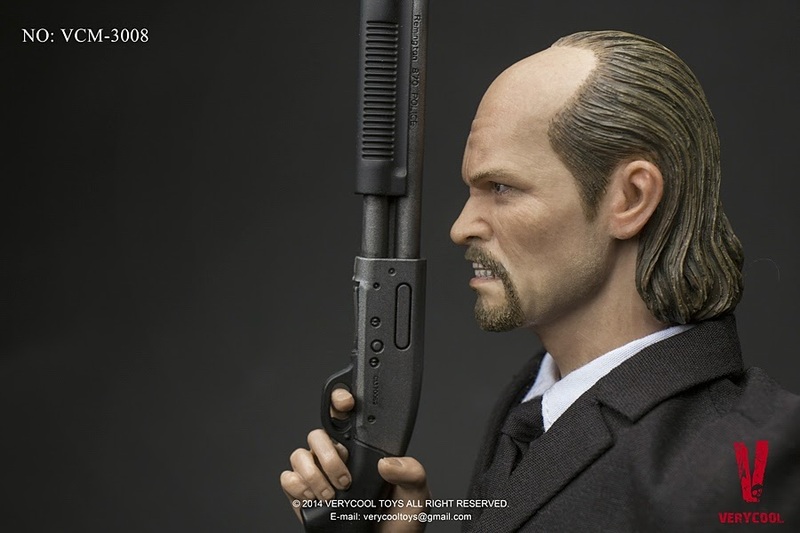 He stands 6″1″, has green eyes, and receding long hair. He is a medicated schizophrenic and psychopath. 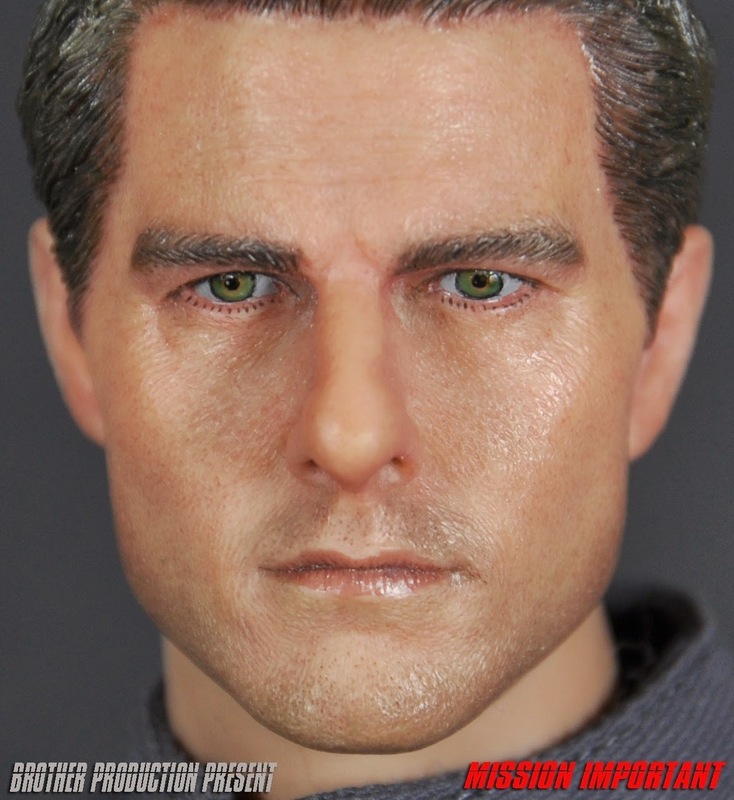 It was currently unknown whether or not he killed his wife, but from dialogues strongly suggested that he did. 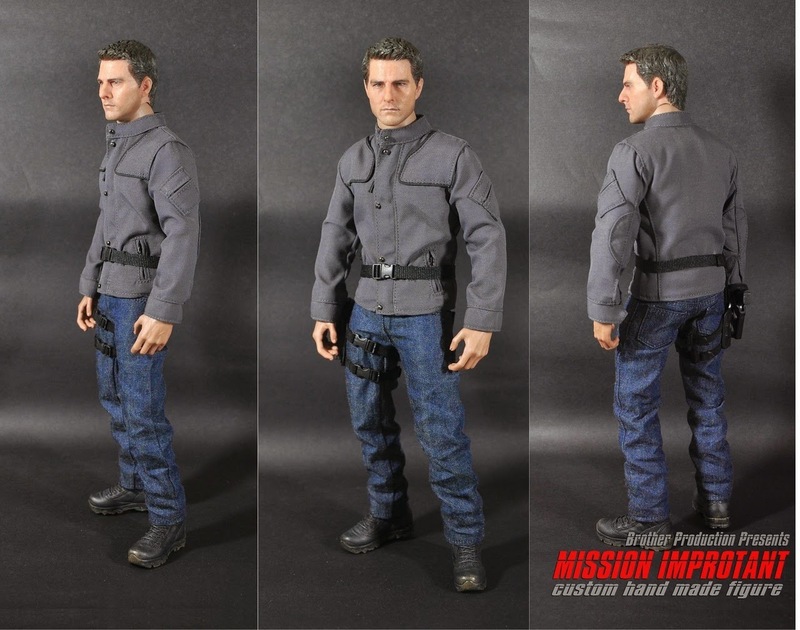 An example of this was during the prison mission, when he uncertainly said that he was unsure what happened that night. James was sentenced to death. 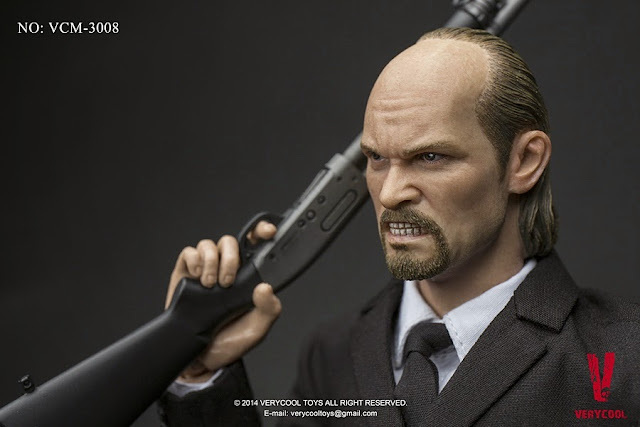 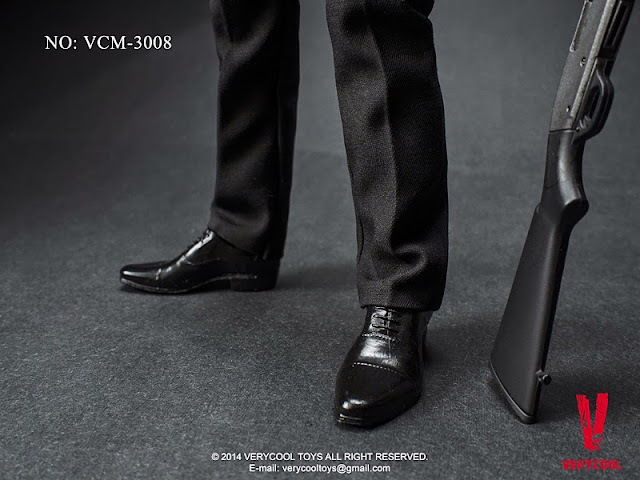 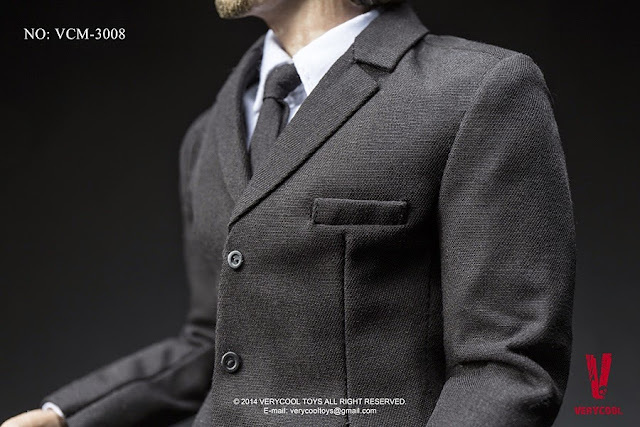 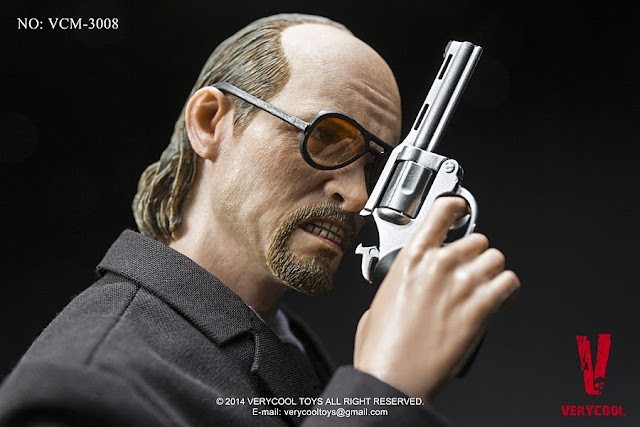 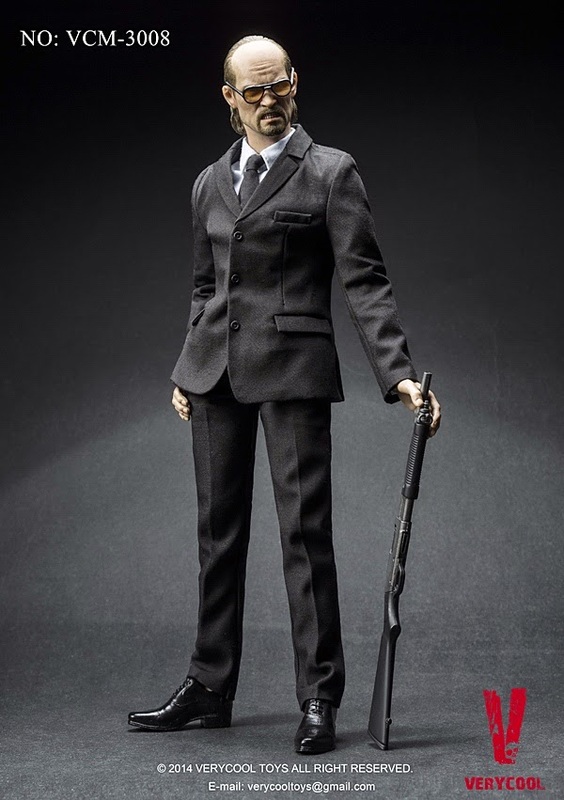 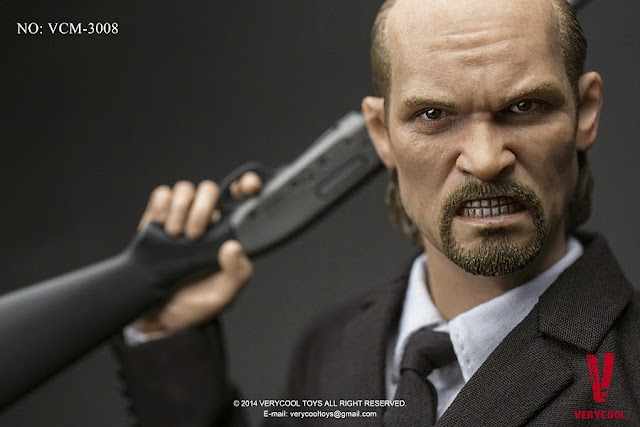 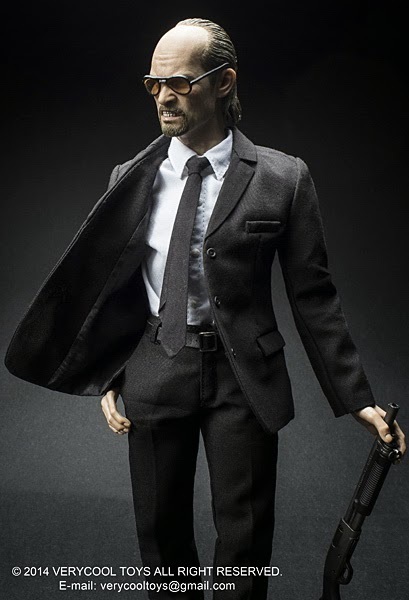 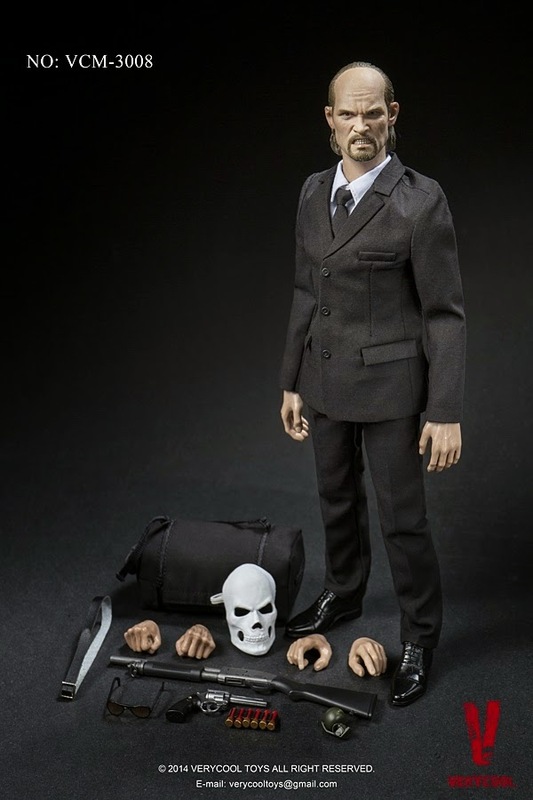 VeryCool VCM-3008 1/6 scale Medicated Psychopath – James 12-inch figure will come with 1/6 scale Head Sculpt, 12-inch figure Body, Set of Suit including Shirt, Tie, Belt, A Pair of Shoes. 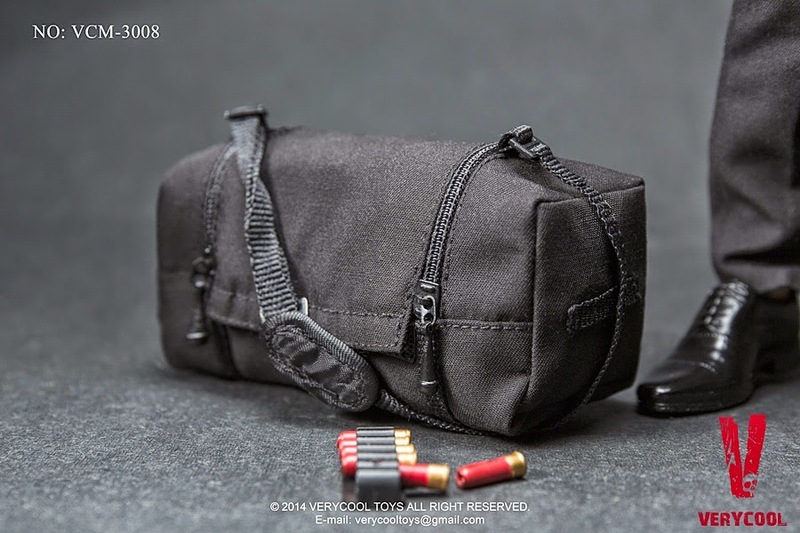 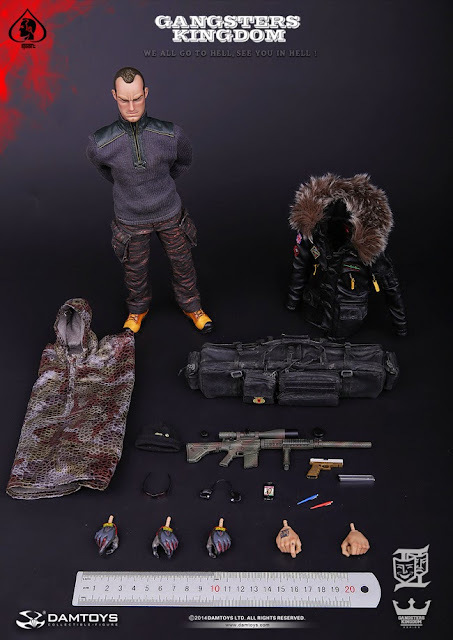 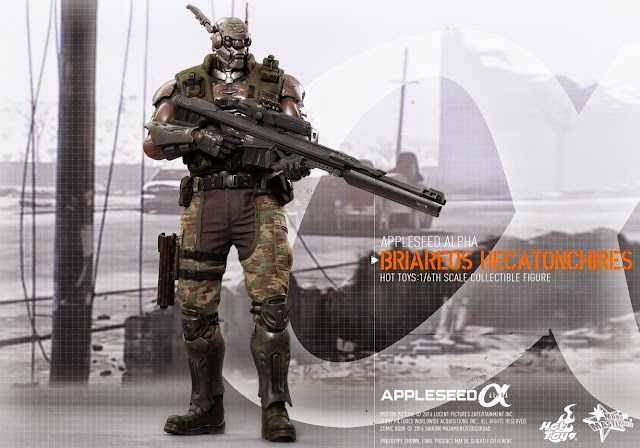 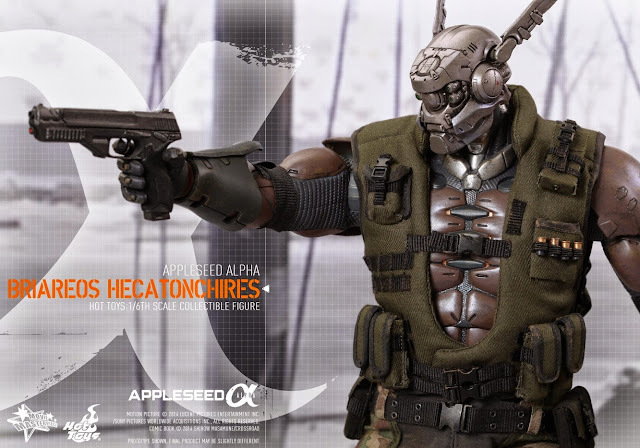 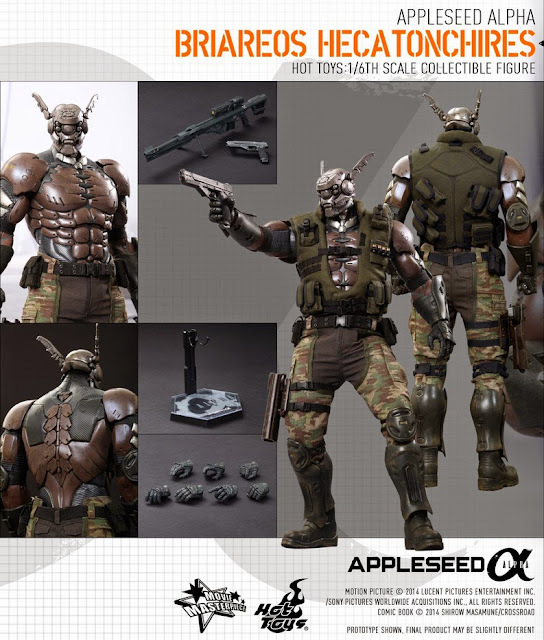 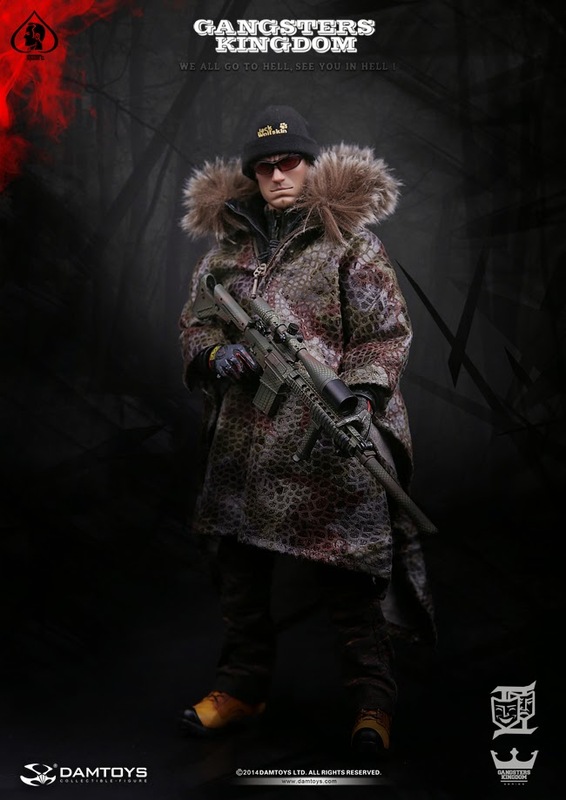 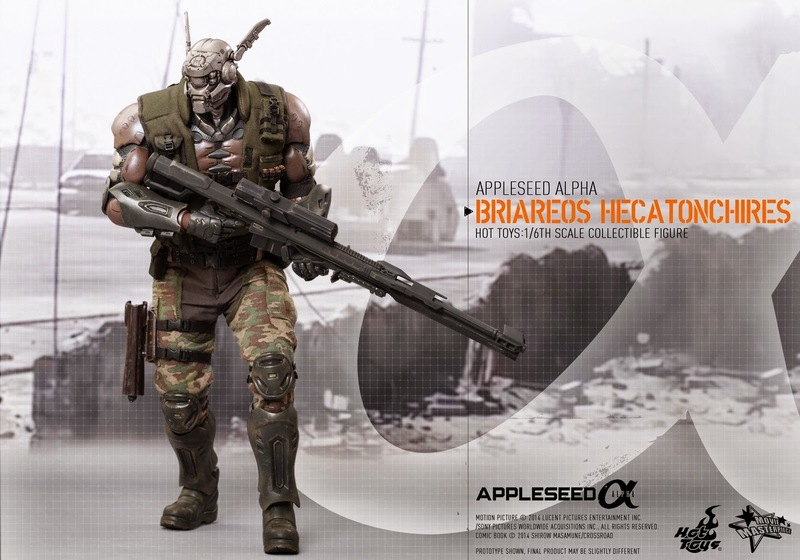 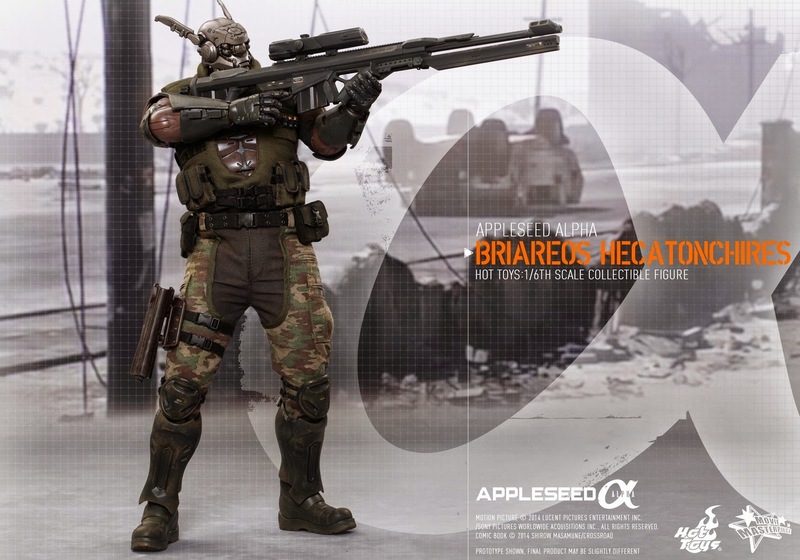 Also included are the following 1/6 scale accessories: Mask, A Pair of Glasses, M870 Rifle, Bullet Holder + 6 Bullets, Revolver, Revolver Bullet x 6, M67 Frag Grenade, Weapon Kit / Bag, A Pair of Relaxed Hands, A Pair of Hands for Holding Gun, A Pair of fists. 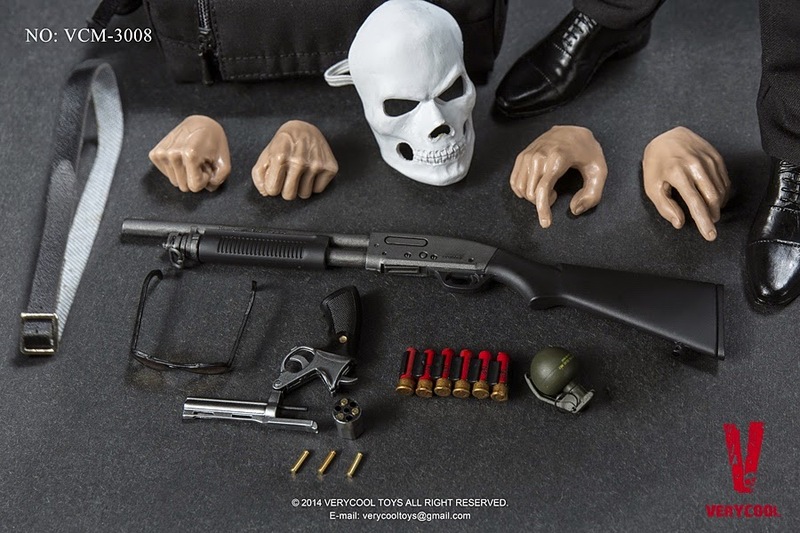 Looks like a new gang’s in town and these are not from DAM Toys. 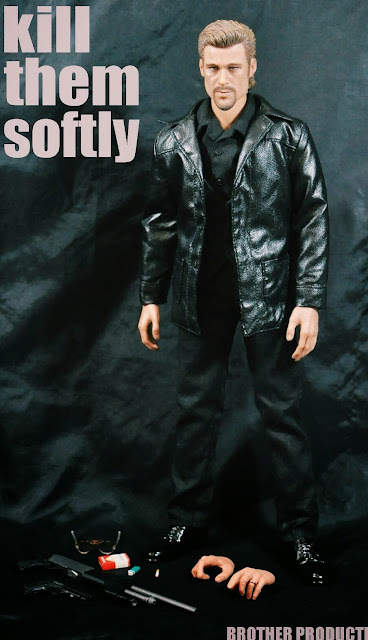 Check out my GANGS label for more gang-related figures posted in my toy blog. 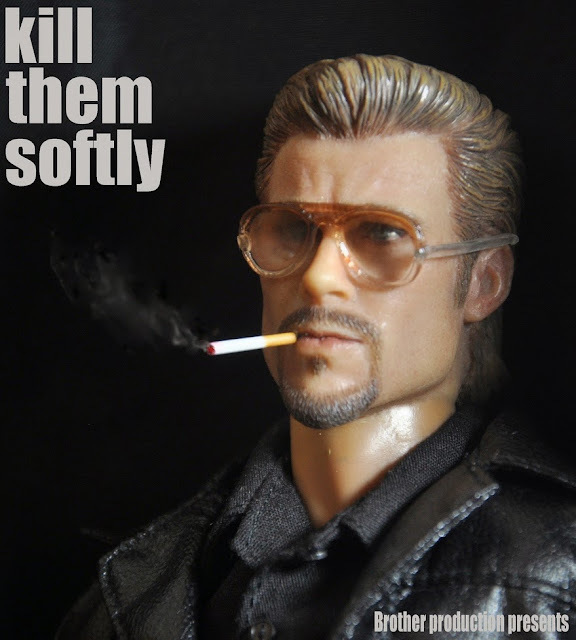 I count 64 posts so far. 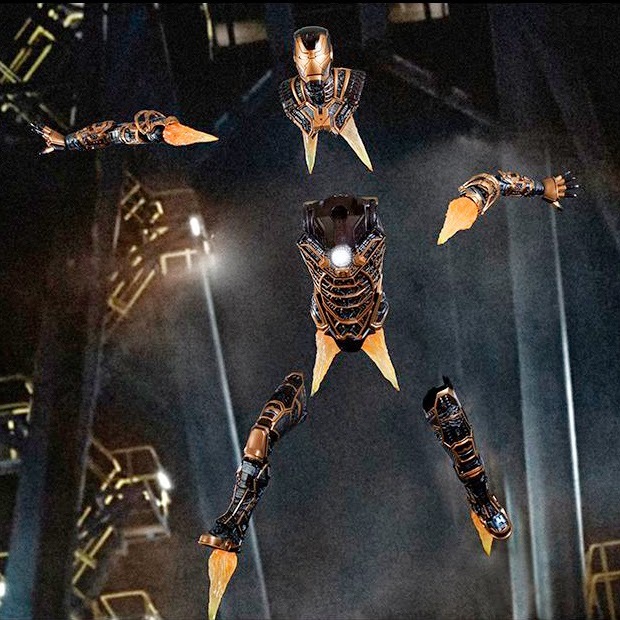 “Gentlemen!” and with that said, the Skeleton Suit Mark XLI has split into multiple parts to attack Extremis soldiers during Tony Stark’s showdown with Aldrich Killian! 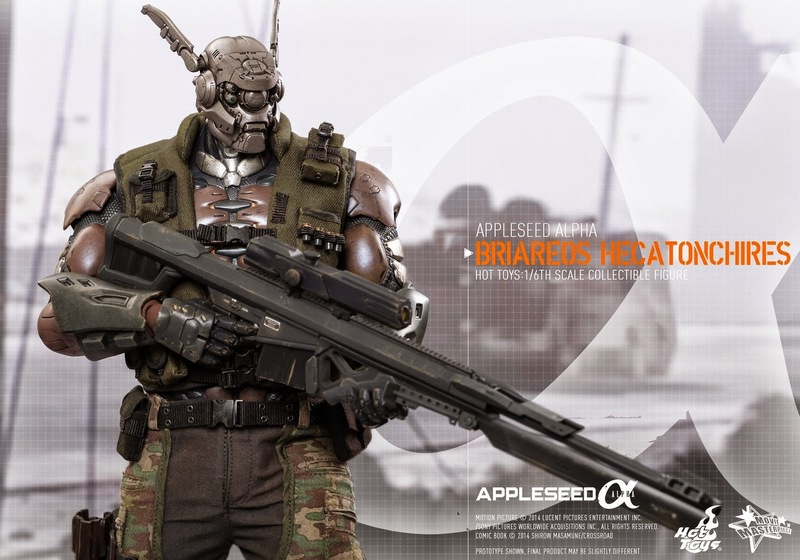 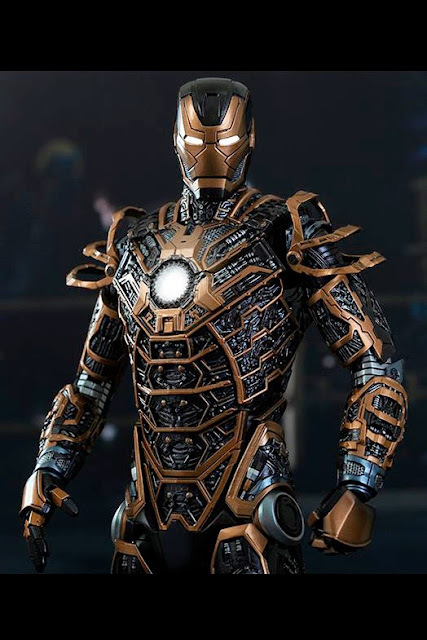 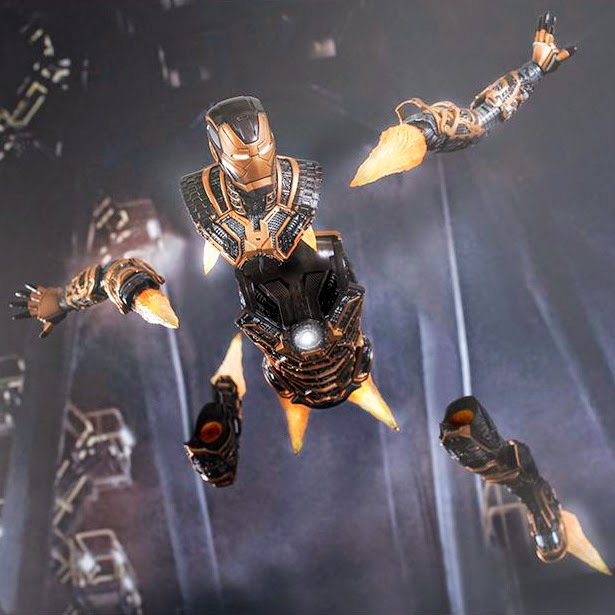 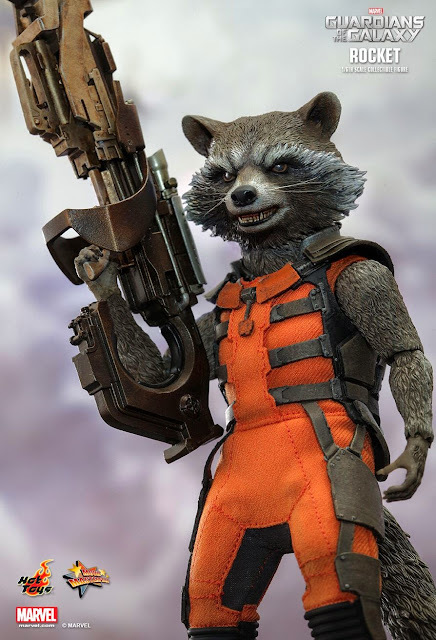 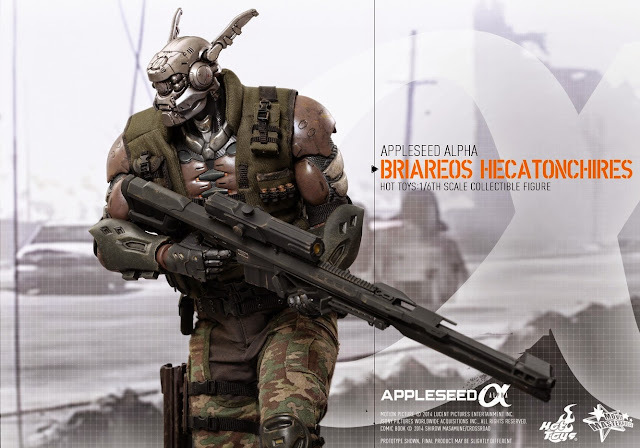 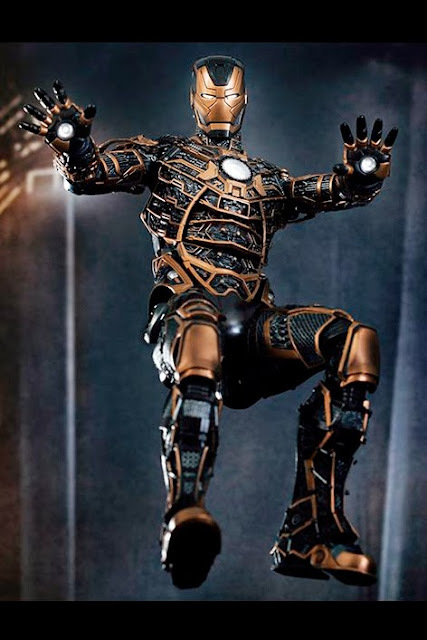 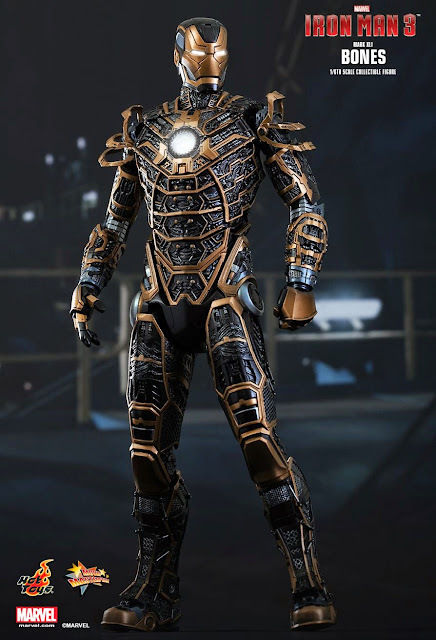 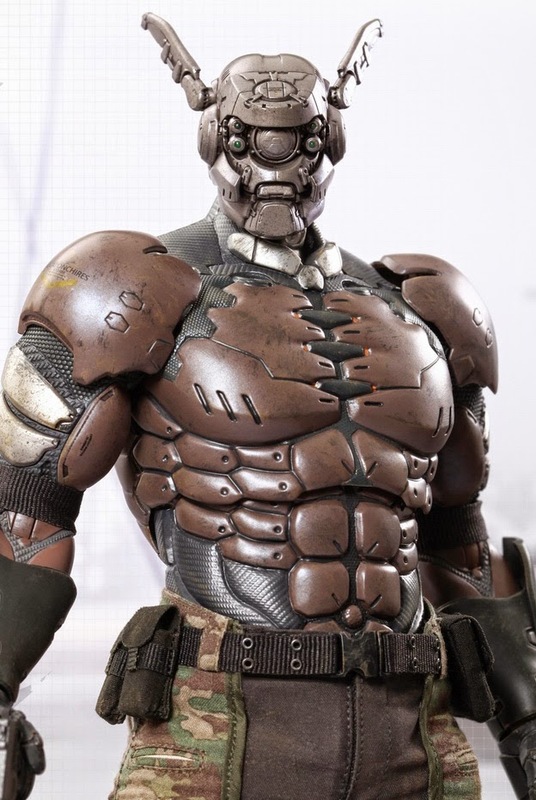 Nicknamed “Bones”, this armor is built by Tony Stark with speed and maneuverability in mind. 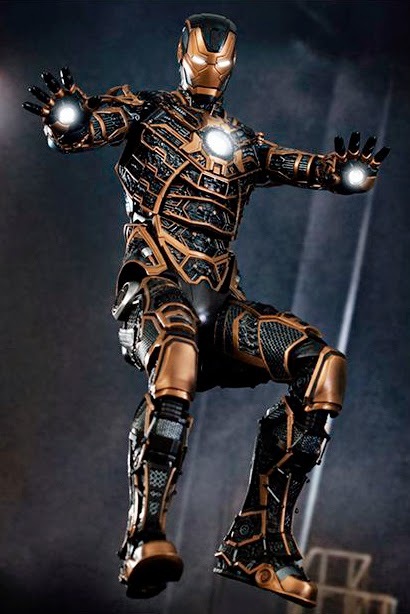 It earns its name because of the very unique external appearance of thin black and gold colored armor plating with internal contents exposed. Hot Toys MMS251 Movie Masterpiece Series “Iron Man 3” 1/6th scale Bones (Mark XLI) Collectible Figure’s special features: Authentic and detailed likeness of Bones (Mark XLI), the Skeleton Suit, in Iron Man 3 with Over 36 points of articulations and is approximately 30 cm tall. 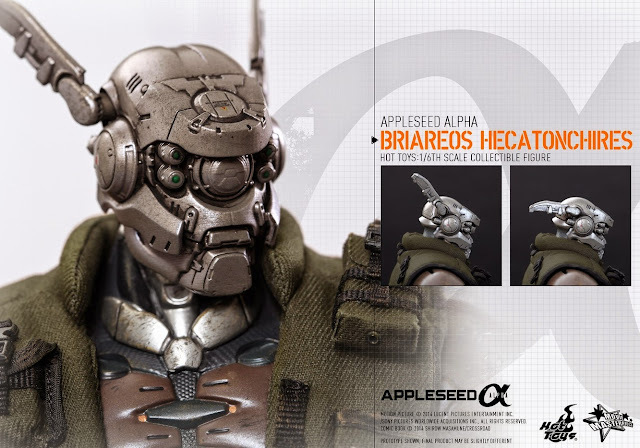 Includes LED-lighted eyes and circular-shaped RT on chest (white light, battery operated), Black and gold colored painting on armor with internal content exposed, Special features on armor: Magnetic components located at neck, upper chest, shoulders, elbows, and upper thighs. 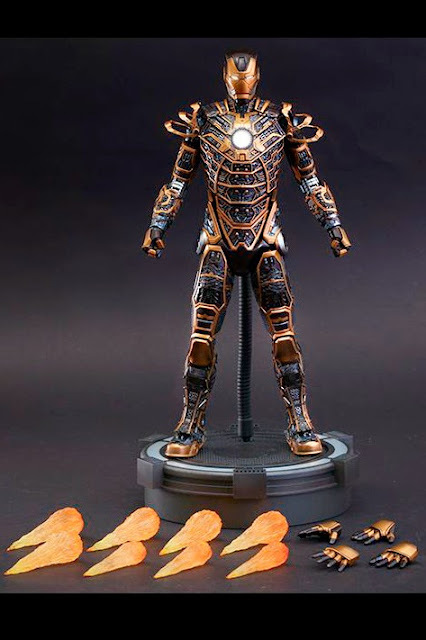 Three (3) pairs of interchangeable palms including: One (1) pair with movable fingers and light-up repulsors (white light, battery operated), One (1) pair of forceful fists, One (1) pair of repulsor palms. 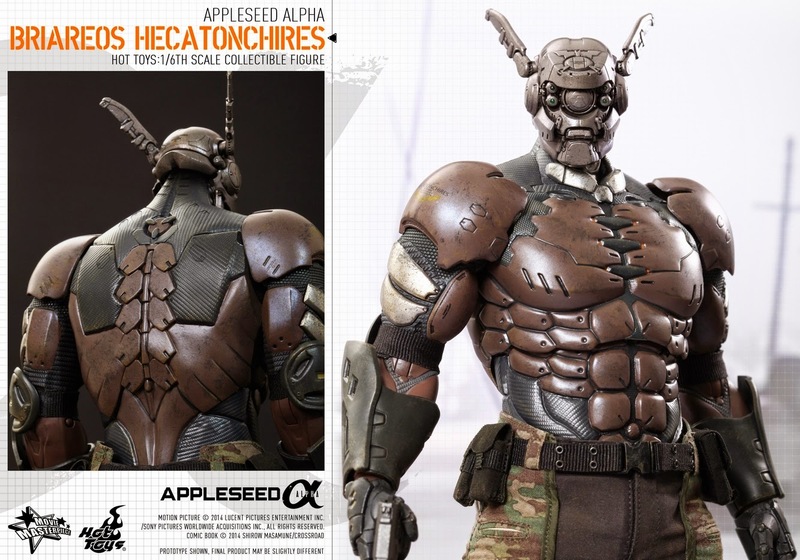 Articulations on waist armor allowing flexible movement. 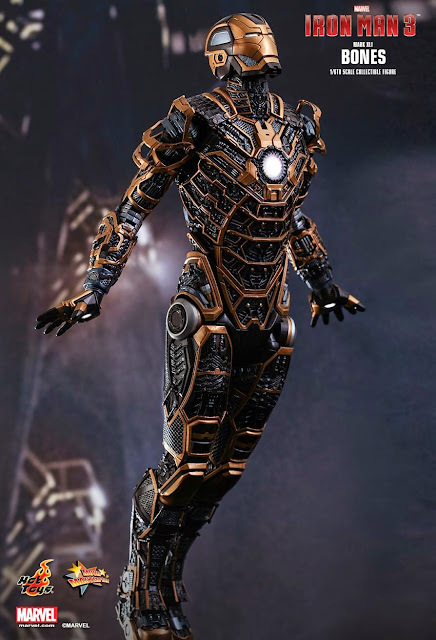 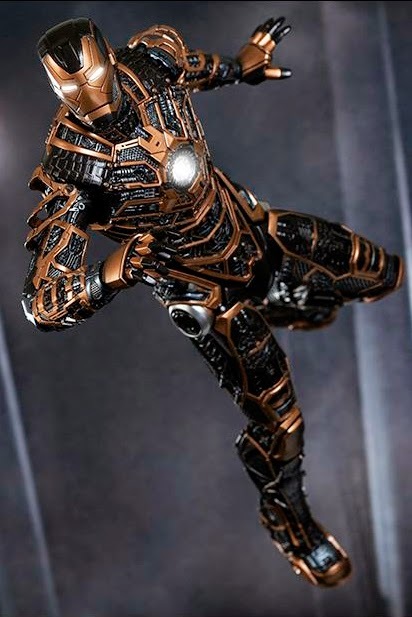 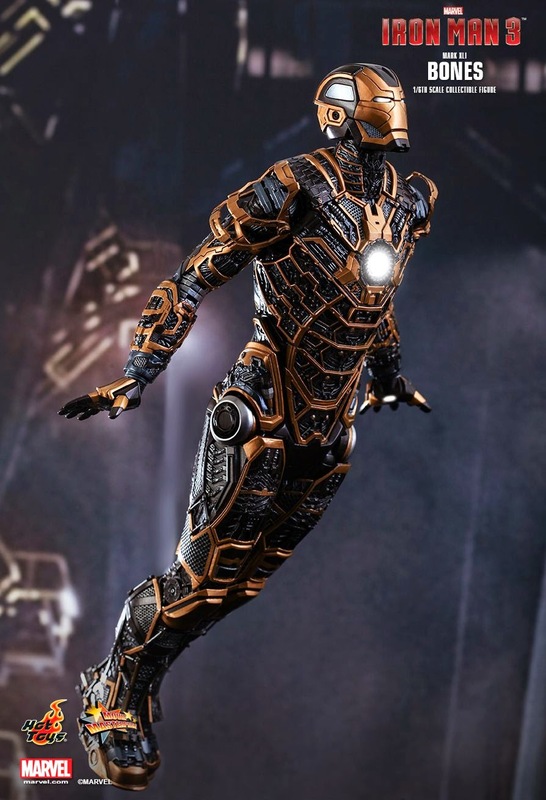 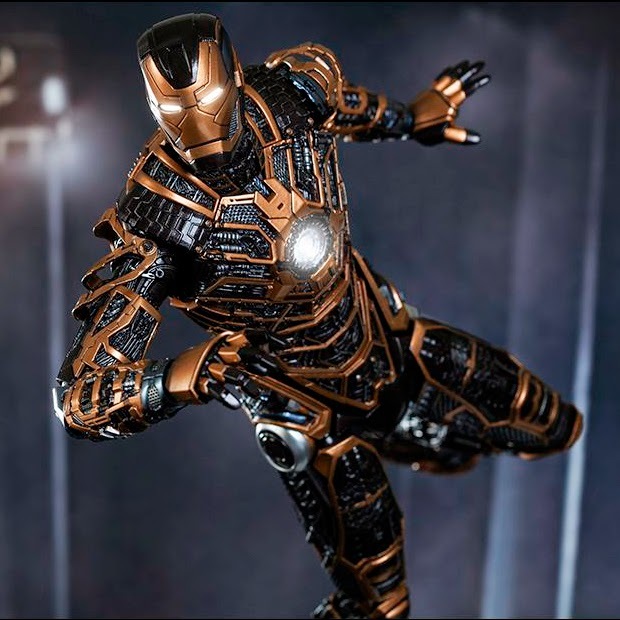 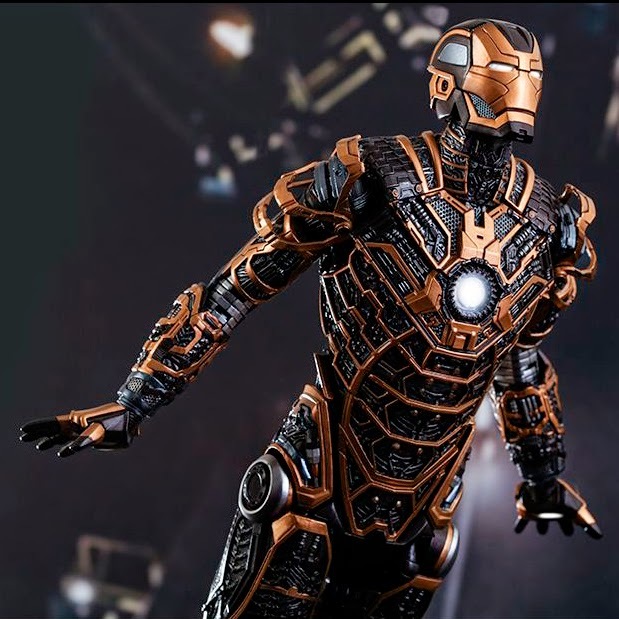 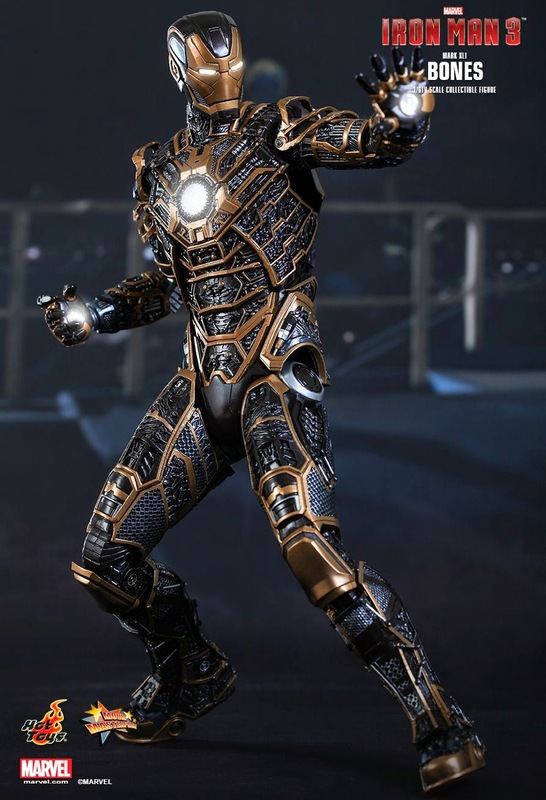 Iron Man fans should not miss out on the opportunity to pre-order this one-of-a-kind armor from the House Party Protocol! 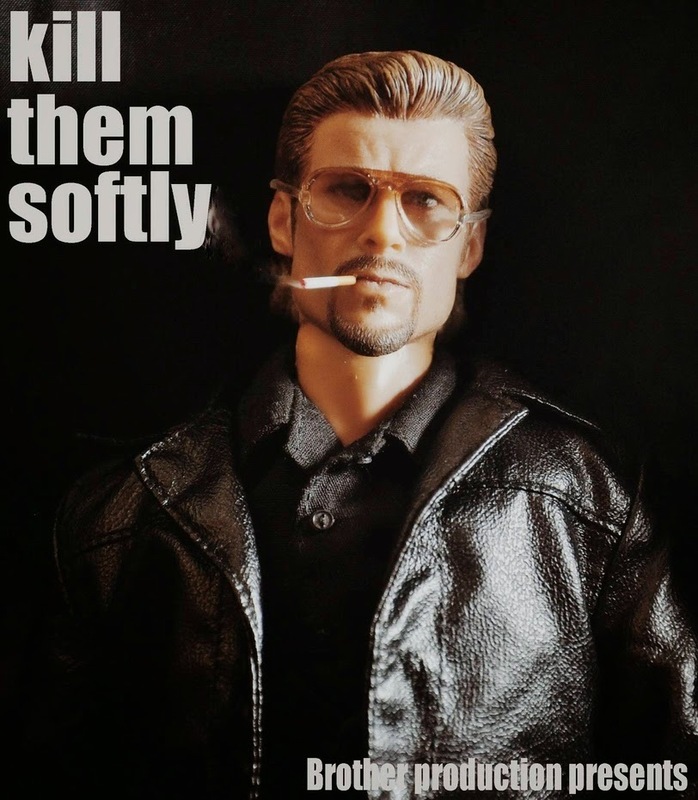 Killing Them Softly is a 2012 American neo-noir crime film directed by Andrew Dominik and starring Brad Pitt, based on the 1974 novel Cogan’s Trade by George V. Higgins. 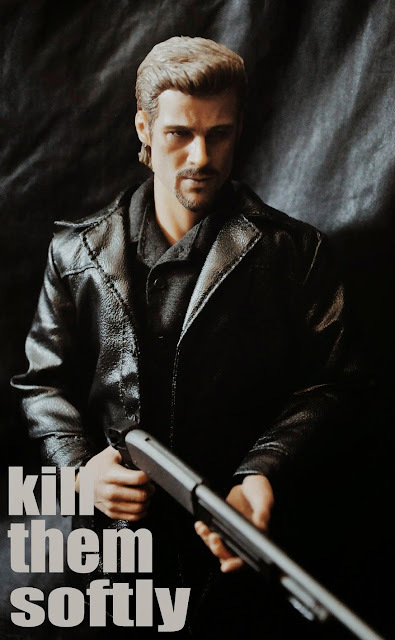 Brad Pitt plays Jackie Cogan, a hitman and enforcer hired to restore order after three dumb guys rob a Mob protected card game, causing the local criminal economy to collapse. 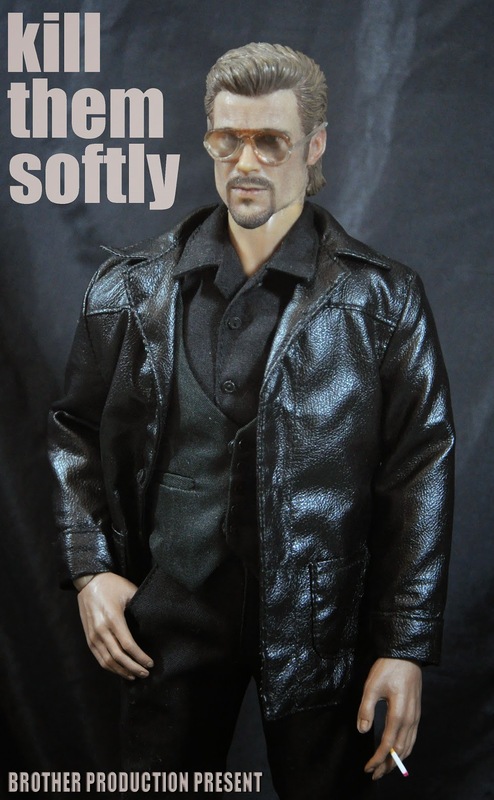 Not wanting to get by on his charming good looks alone, Brad Pitt makes himself to look less debonair and more gangster-like. 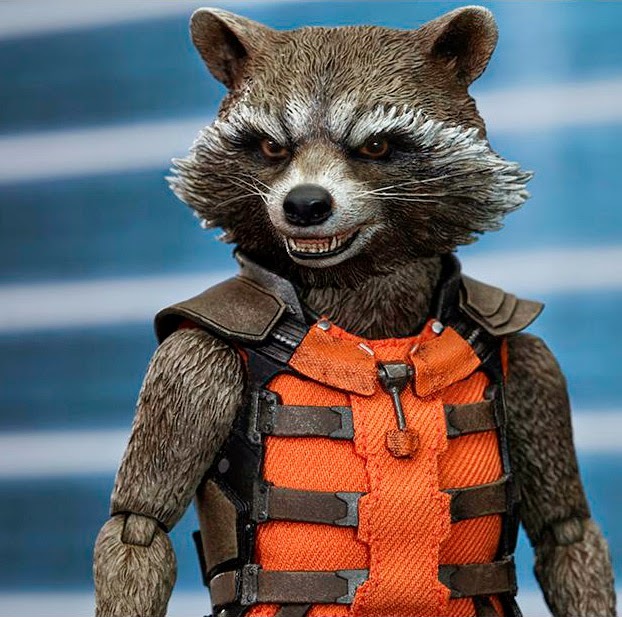 Come on, if you see this guy coming towards you, you’ll look for cover because he’s certainly up to no good. 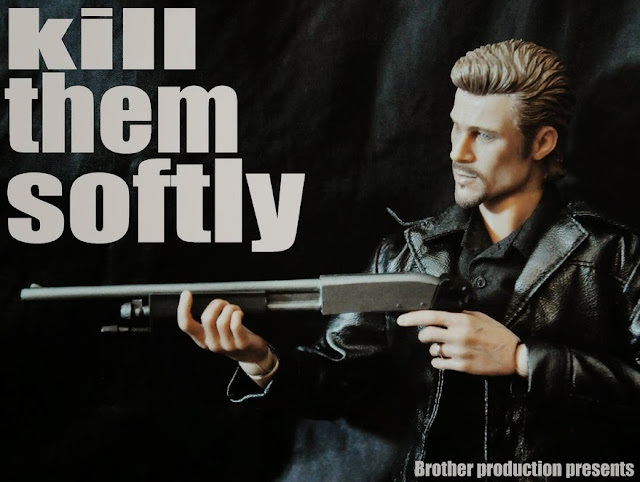 This is Brother Production Presents soon-to-be-released 1/6 scale custom made “Kill Them Softly” 12-inch action figure (Limited Edition of 100 pcs) and will include: 1/6 scale Head sculpt, Over 35 Moving Joints Base Body (12-inch tall), Realistic and detailed leather-like jacket, Long sleeve black shirt, Vest, Belt, Black pants, Black shoes, Normal Hands, Sunglasses, Handgun, Shotgun, 1:6 scale Lighter, Cigarette packet, Cigarette x 1. Mission: Impossible III (marketed as M:i:III, M:I-3, or Mission: Impossible 3) is a 2006 American action spy film co-written and directed by J.J. Abrams, his first film as a director, starring Tom Cruise, who also served as a producer, in the role of IMF agent Ethan Hunt. 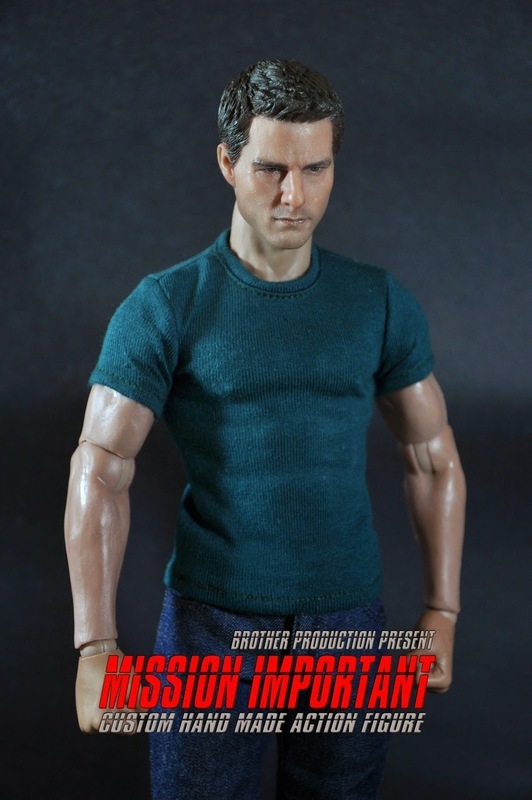 Ethan Hunt (Tom Cruise) has retired from active field work for the Impossible Missions Force (IMF) and instead trains new recruits while settling down with his fiancée Julia Meade (Michelle Monaghan), a nurse at a local hospital who is unaware of Ethan’s past. 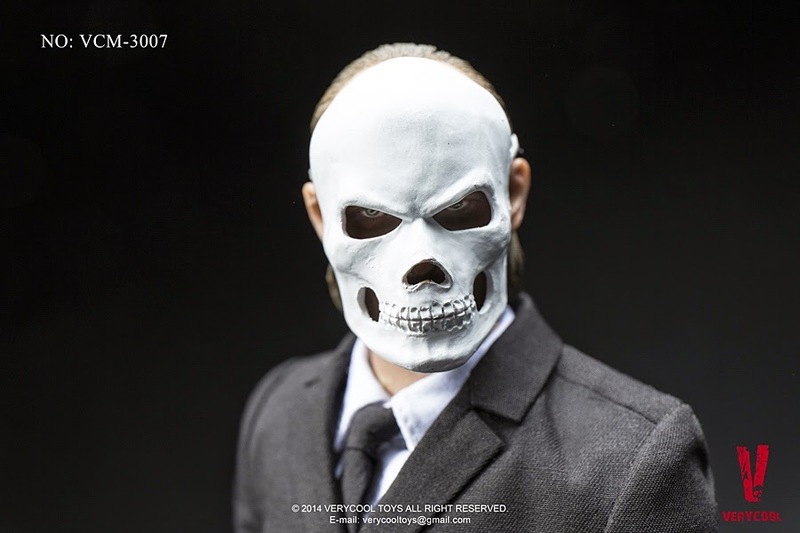 Ethan is sent back into action to track down arms dealer Owen Davian (Philip Seymour Hoffman). 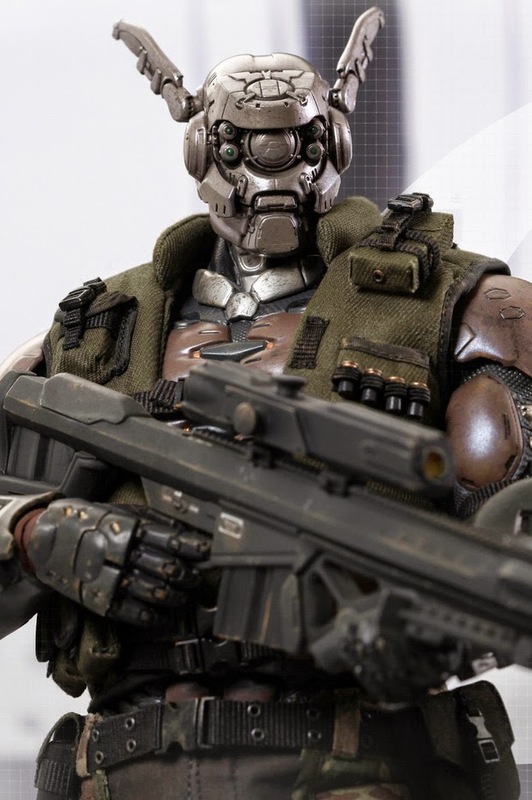 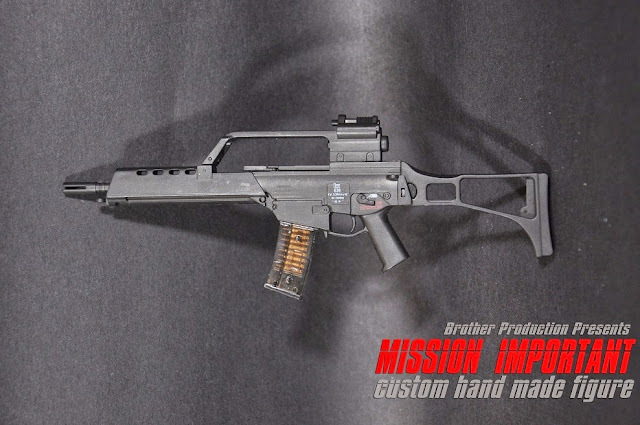 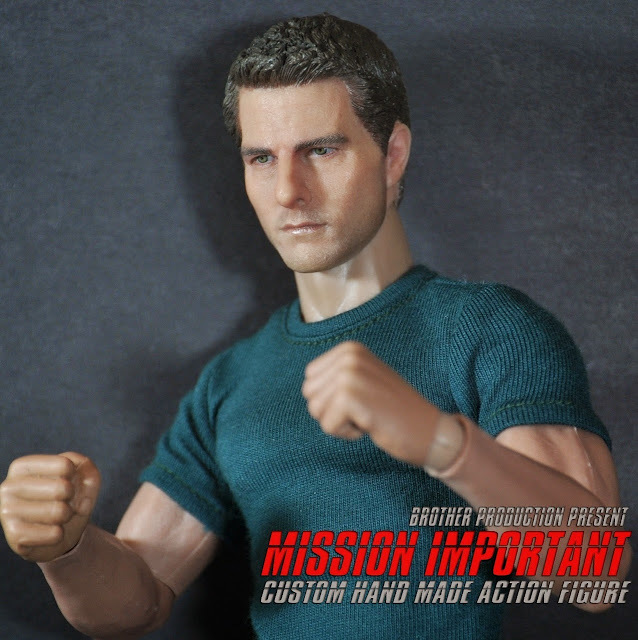 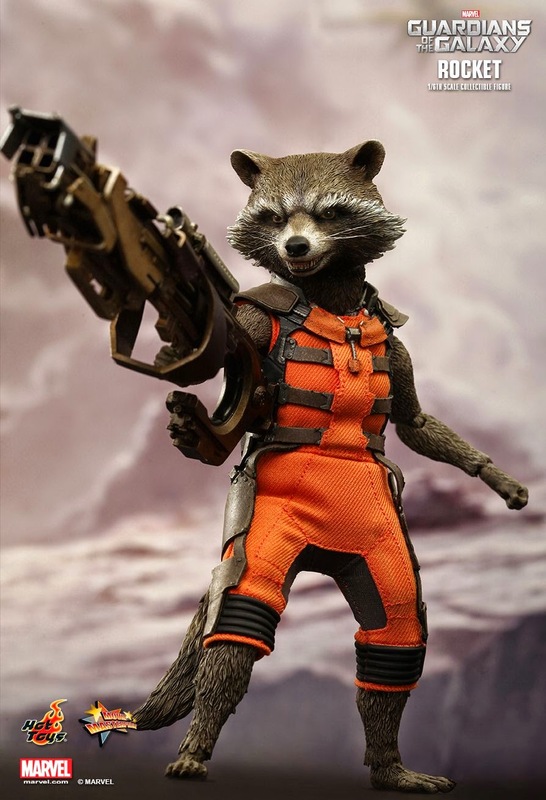 This is Brother Production Present upcoming 1:6 scale Custom Hand Made “Mission Important” 12-inch Action Figure. 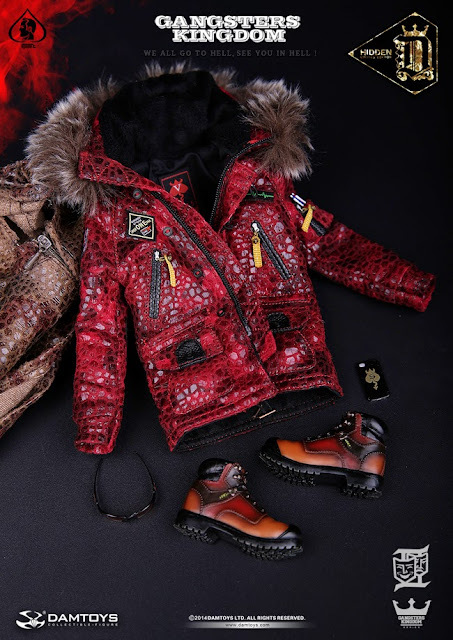 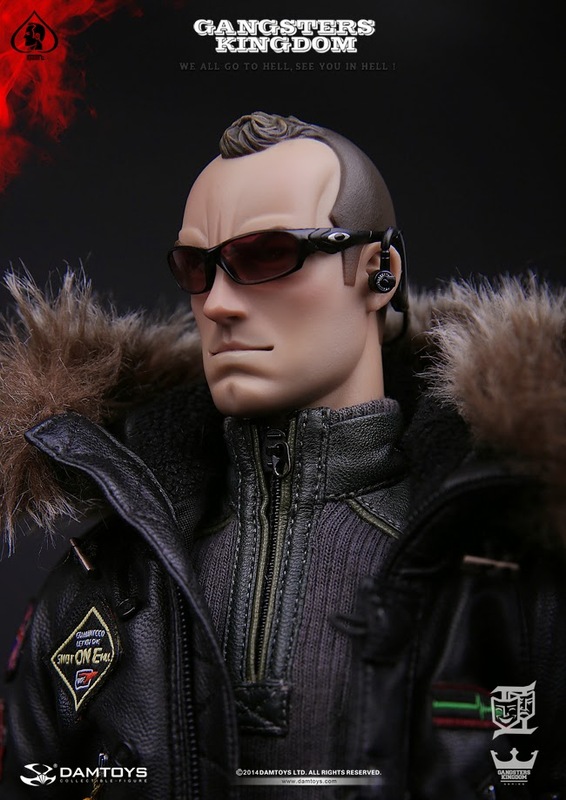 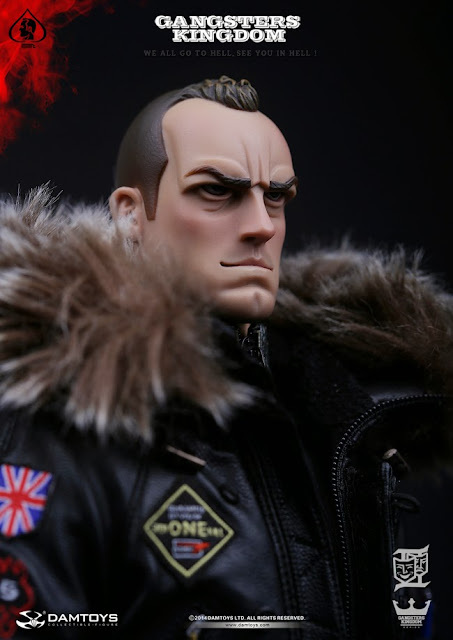 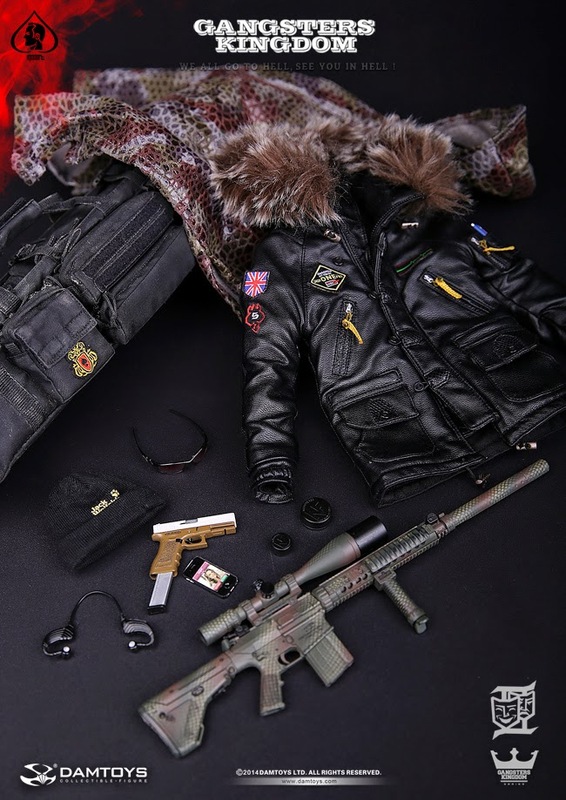 It will come with Realistic Likeness Head sculpt (made of PVC), 12-inch Base Muscle Body, Brown Leather-Like jacket, Grey Military Jacket, Blue Sweater, Dark Blue Jeans, Military Boots, Military Belt, 1:6 scale H&K G36 (Made of ABS), Drop-Down Leg Holster, Pistol (Made of ABS), Smart Watch, Gloved hands x 1 pair, extra Hands x 3 pairs. 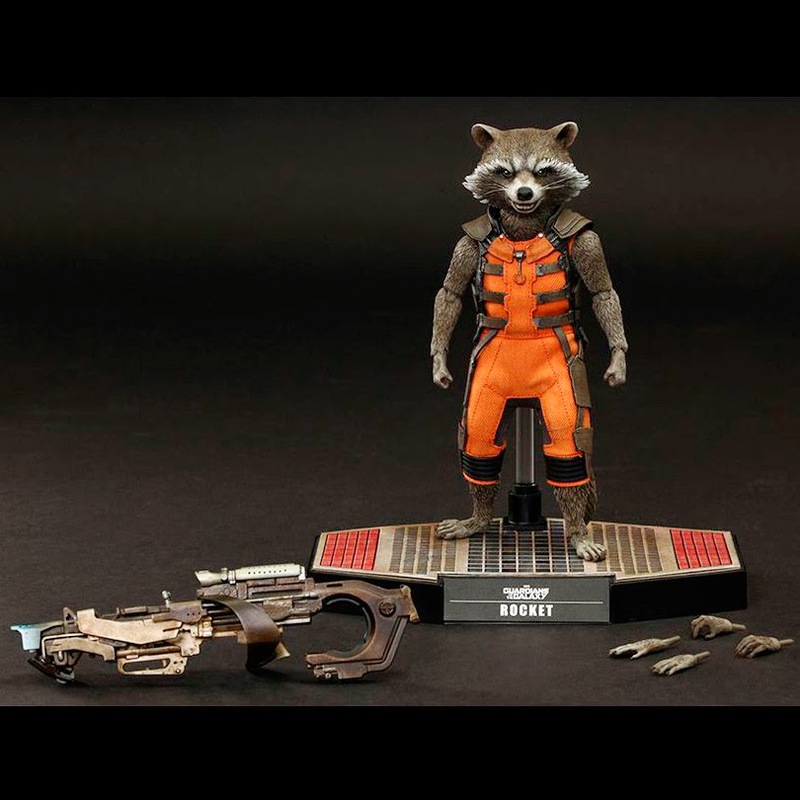 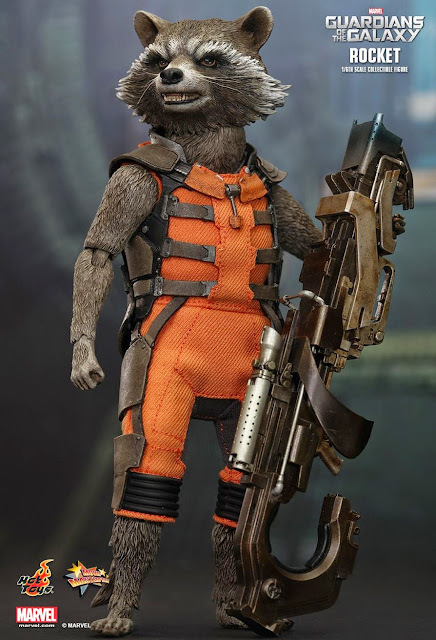 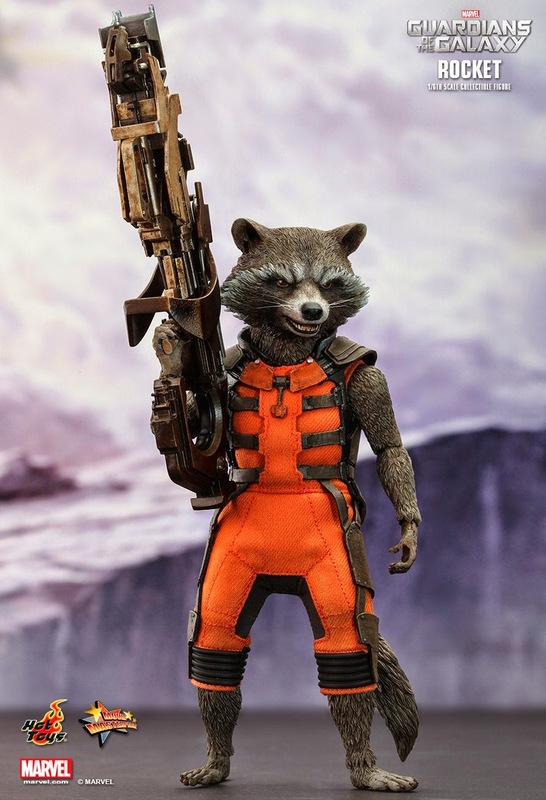 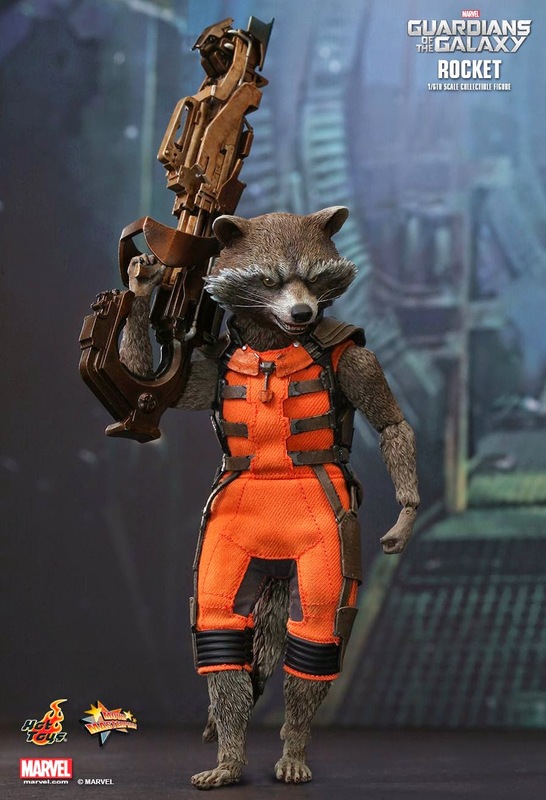 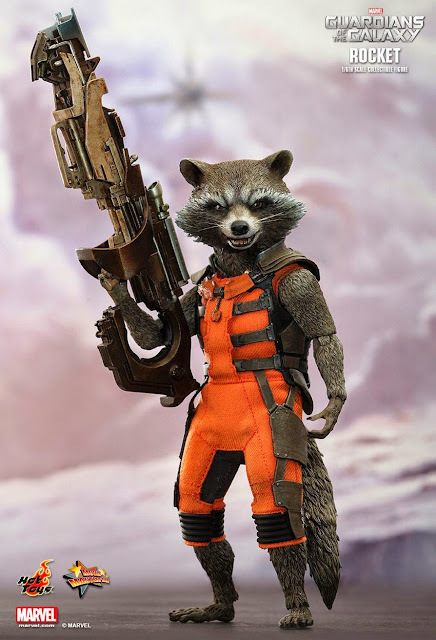 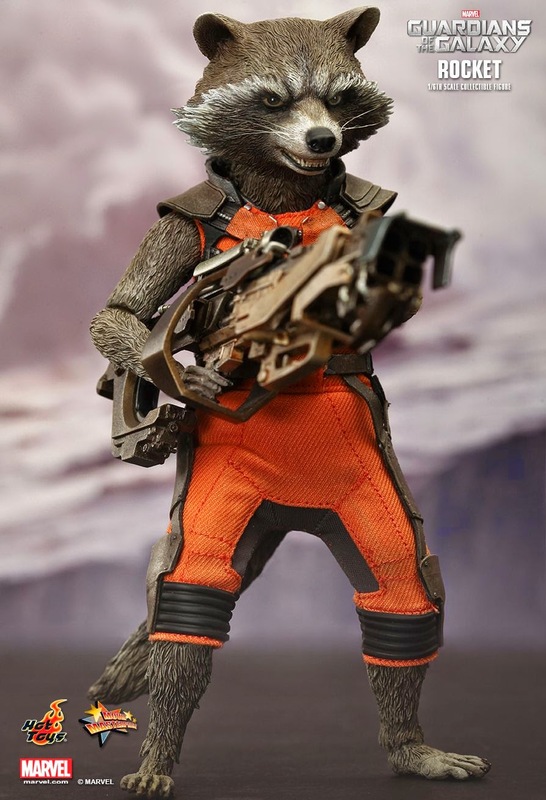 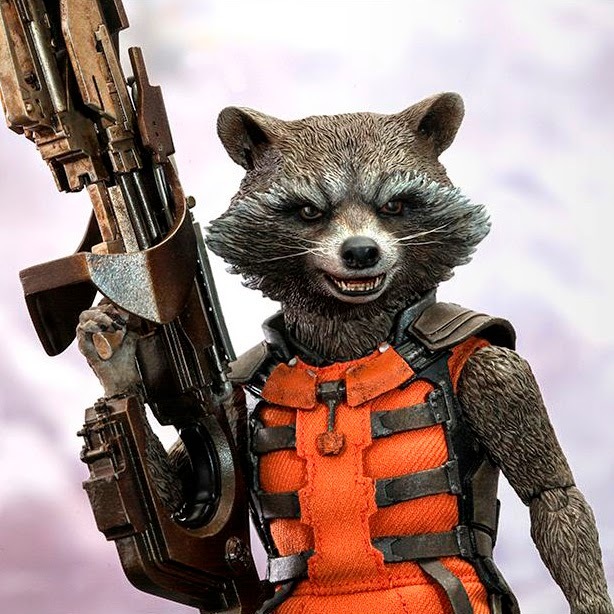 It appears to be inspired by the M:I-3 film and the custom hand-made figure does bear some resemblance ;p purely coincidental.